In 1995, Yoshi had his moment. The character’s Super Mario World debut was so strong, Nintendo handed the dinosaur sidekick his own sequel. A surprise divergence from the Mario franchise found the character escorting a baby version of the plumber in search of his kidnapped twin. Super Mario World 2: Yoshi’s Island was regarded as an instant classic for the Super Nintendo. The positive reaction was due, in part, to some bold aesthetic choices. The game featured a shaky line style, both in keeping with the playful infant motif and to further highlight that the title wasn’t just another Mario game. Yoshi’s island has received a number of its own sequels and spinoffs over the years. This is, after all, Nintendo we’re talking about here. The company has turned riding out IP into a kind of art form. But while many of those followups were generally well-received, but none managed to capture the pure joy of the original. 2015’s Yoshi’s Wooly World came close, but ultimately failed to meet the high standards of many Mario fans. And the fact that the Wii U was ultimately a doomed console didn’t help matters much. 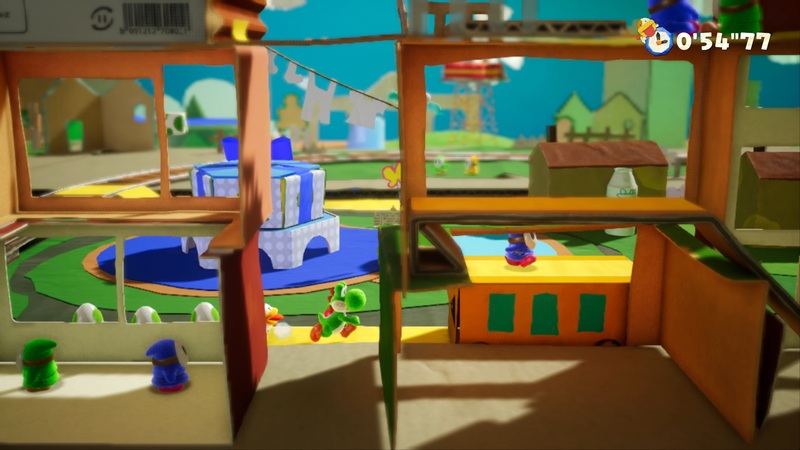 From a design perspective, Yoshi’s Crafted World clearly shares a lot of common DNA with that predecessor and, for that matter, Kirby’s Epic Yarn, with developer Good-Feel being a common denominator in all three. But the Switch title is a far more fully realized and cohesive package than the Wii U title. And like Yoshi’s Island before it, it’s a joy to play. The first time I saw gameplay footage, I’d assume the game was a bit more of an open-world adventure — the Yoshi’s Island to Super Mario Galaxy’s Super Mario World. But while the new title gives you some choices, it never lets you stray too far from the standard platformer path. To this day, side scrollers continue to be Nintendo’s bread and butter, even as it pushes the boundaries of gaming with other titles. At its worst, that means redundancy. At its best, however, Nintendo manages to put a fresh spin on the age old genre, as is the case here. Clever mechanics like 3D world flipping and paths that point Yoshi down roads in a third dimension keep gameplay interesting. The addition of seemingly infinite Mario 3-style cardboard costumes, coupled with the DIY crafted design language, meanwhile, make it downright joy to play. 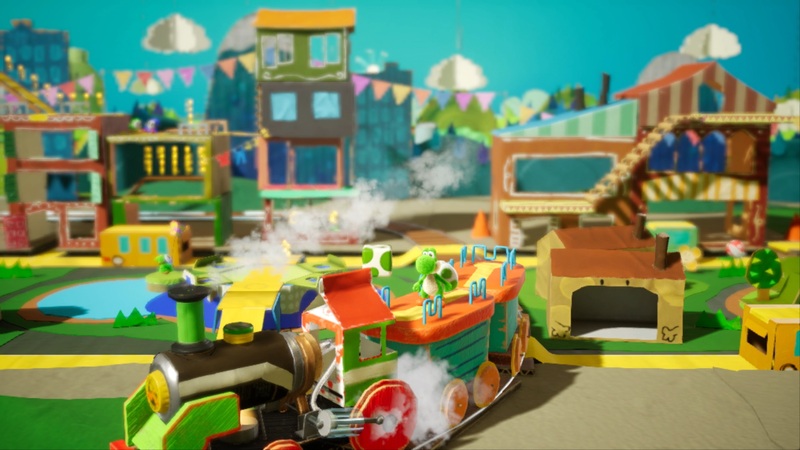 Yoshi’s Crafted World is an all-ages title, through and through. In fact, on first playing, the game asks whether you want to play “Mellow Mode” or “Classic Mode,” reassuring you that you can switch things up at any time. Even in Classic Mode, the game does a fair bit of handholding. But the game’s simple and slow pace is more comfort than annoyance for even older players. The title plays like a casual game, writ large with a fun through line that finds Yoshi hunting down scattered “Dream Gems,” like so many Dragon Balls. It’s never as immersive or addicting as a title like Mario Galaxy, but that’s not necessarily a bad thing. It’s the kind of game you can happily play in spurts and come back to, after you’re done living your life. It’s a reminder that games can be an escape from, rather than cause of, frustration and stress. And it’s definitely the best Yoshi star vehicle in nearly 25 years. Launching around the globe a few days ahead of the world’s largest mobile show was the ultimate big-dog move. Samsung celebrated the 10th anniversary of its flagship phone line by launching its latest device on Apple’s sometimes-stomping grounds at San Francisco’s Bill Graham Civic Center. The timing was less than ideal for all of us jet-lagged gadget reviewers, but the effect clearly paid off. Dozens of the world’s highest-profile reviewers have been roaming the streets of Barcelona with the S10 in hand and Galaxy Buds in ears. You couldn’t pay for that kind of publicity. And, naturally, none of us minded testing those new photo features in one of Europe’s most beautiful cities. But the 10th anniversary Galaxy arrives at a transitional time for Samsung — and the industry at large. The last couple of years have seen smartphone sales plateau for the first time since anyone started keeping track of those sorts of numbers, and big companies like Samsung and Apple are not immune. That manner of existential crisis has led to one of the most eventful Mobile World Congresses in memory, as companies look to shake the doldrums of a stagnant market. It also led Samsung to open last week’s Unpacked event with the Galaxy Fold — first the cryptic product video and then the product unveil. It’s a heck of a lead in, and, quite frankly, a recipe for disappointment. Here’s a look at the future, and now let’s talk about the present. Several people saw that I was carrying around a new Samsung device, got excited and were ultimately disappointed with the fact that I couldn’t unfold the thing. None of this is any reflection on the quality of the S10 as a device, which I will happily state is quite high. But unlike the iPhone X, Apple’s 10th anniversary handset, the new Galaxy isn’t an attempt at a radical departure. Instead, it’s a culmination of 10 years of phone development, with new tricks throughout. The Galaxy S10 doesn’t offer the same glimpse into the future as the Fold. But it does make a strong claim for the best Android smartphone of the moment. Starting at $1,000, it’s going to cost you — but if Samsung’s $1,900 foldable is any indication, smartphones of the future could make it look like a downright bargain. The Samsung Galaxy S10+ has been my daily driver for a week now. It joined me on an international road trip, through several product unveils from the competition and is responsible for all of the images in this post. Sometimes the best camera is the one in your pocket, as the saying goes. Like other recent Samsung flagships, it’s going to be a tough device to give up when review time comes to a close. It’s a product that does a lot of things well. Tending, as Samsung often does, toward jamming as much into a product as possible — the polar opposite of chief competitor Apple’s approach. But in the case of the Galaxy line, it all comes together very nicely. 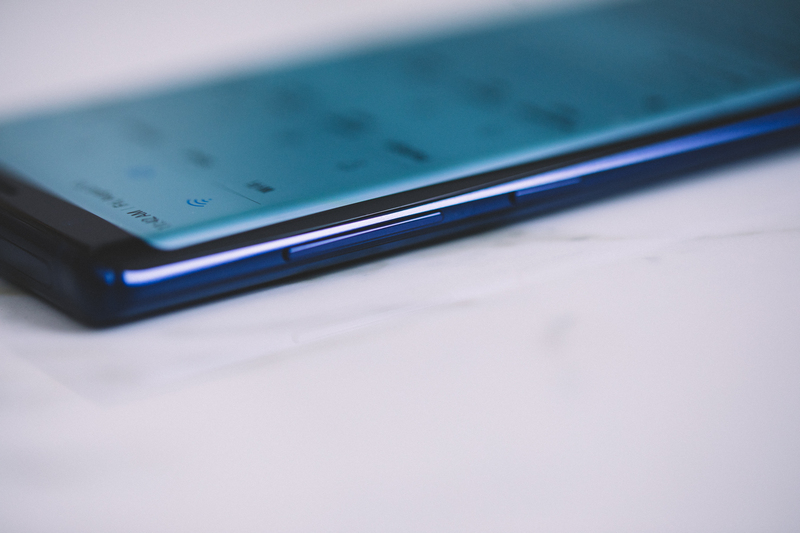 The S10 doesn’t represent a radical stylistic departure from its predecessor, maintaining the same manner of curved design language that helps the company cram a lot of phone into a relatively limited footprint, including a 93.4 percent screen-to-body ratio in the case of the S10+. That means you can hold the handset in one hand, in spite of the ginormous 6.4-inch screen size. This is accomplished, in part, by the curved edges of the display that have been something of a Samsung trademark for a few generations now. It has also helped the Infinity-O design display, a laser cutout in the top-right of the screen, to fit the front-facing camera in as small a space as possible. In the case of the S10+, it’s more like an Infinity-OOO display. Samsung was going to have to give in to the cutout trend sooner or later, opting to go ahead and skip the whole notch situation. The result is a largely unobtrusive break in the screen. Just for good measure, the phone’s default wallpapers have gradually darkening gradients that do a good job obscuring the cut out while not in use. But while the whole more-screen-less-body deal is generally a good thing, there is a marked downside. I found myself accidentally triggering touch on the sides of the display with the edge of my palms, particularly when using the device with one hand. This has been a known issue for some time, of course. Oh, and there’s one more key aspect in helping the S10+ go full screen. As with many of the features here, Samsung can’t claim to be the first to have the under-display fingerprint sensor. OnePlus, in a rare push to be first to market, added a similar technology to the 6T, which arrived last fall. But Samsung’s application takes things a step further. The S10 and all of its variants are among the first to implant the fingerprint technology that Qualcomm announced at its Snapdragon Summit in Hawaii last year. The key differentiator here is an extra level of security. If the OnePlus’ fingerprint sensor is akin to your standard face unlock, this is more in line with what you get on the iPhone or LG’s latest handset. Combining a smartphone’s display and fingerprint reader for a seamless and sleek look, 3D Sonic uses technological advances and acoustics (sonic waves) to scan the pores of a user’s finger for a deeply accurate 3D image. An ultra-thin (0.2 mm) sensor enables cutting-edge form factors such as full glass edge-to-edge displays, and can be widely used with flexible OLED displays. Setup proved a bit fussier than the standard physical fingerprint button. Once everything is squared away, the reader is actually fairly responsive, registering a rippled water animation and unlocking the phone in about a second. Getting your finger/thumb in the right spot might take a couple of tries on the first go, but after that, it’s muscle memory. There’s also a small fingerprint shaped guide that pops up on the lock screen for help. It can still be a bit tricky for those times you’re not looking directly at the display, or if you switch between hands. It’s also worth noting that the unlock can be tricky with some screen protectors. Samsung will be working with accessory manufacturers to design compatible ones, but picking the wrong company could severely hamper the unlock function. In some ways, though, the in-display fingerprint reader beats face unlock. I tend to lay my device down next to my keyboard when I work. Lifting the phone up to my eyes in order to read notifications is a bit of a pain. Same goes for when I need to check messages in bed. Here you can simply touch, check the notifications and go on with your life. Around the edge is a mirrored metal band that houses the power button on one side and volume rocker and devoted Bixby button on the other. Yes, the Bixby button is back. And no, it won’t be going anywhere anytime soon. Samsung is wholly devoted to the smart assistant, and the company’s mobile devices are the one foothold Bixby currently commands. The complaint about the Bixby button mostly stems from the fact that the assistant was, quite honestly, pretty useless at launch — particularly when compared to Android’s default assistant. In fact, when Google announced this week at Mobile World Congress the upcoming arrival of Assistant buttons on third-party devices, the news was generally welcomed by the Android crowd. Samsung, meanwhile, gets hounded about the Bixby button, as though its inclusion is a way of forcing its assistant on users. Once again, Samsung relented, giving users the ability to remap the button in order to launch specific apps instead. This has played out time and again with the last several Galaxy devices. The fact is, after an admittedly rocky start, Bixby has slowly been getting better, feature by feature. But the assistant still has catching up to do with Google’s headset, and frankly doesn’t offer a ton of reasons to opt into it over Android’s built-in option. Samsung has certainly made big promises of late, coupled with the imminent arrival of the Galaxy Home Hub. Of course, that device was announced more than half a year ago, and when it does finally arrive, it will likely be carrying a prohibitive price tag. Beyond that, Bixby is currently the realm of things like Samsung refrigerators and washing machines. None of this adds up to a particularly compelling strategy for a multi-million-dollar AI offering that has become something of an inside joke in the industry. But Samsung sticks to its guns, for better or worse. Sometimes that means Bixby, and sometimes that means defiantly clinging to the headphone jack. Turns out if you avoid a trend for long enough, you can become a trendsetter in your own right — or at least a respite from the maddening crowd. 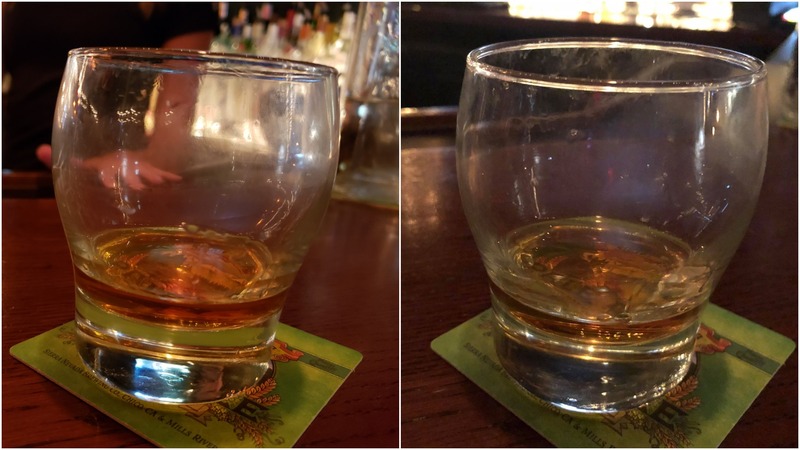 It’s been a few years since the beginning of the end came for the jack, and the whole thing still leaves plenty of users with a sour taste. Even the once-defiant Google quickly gave in and dropped the jack. Samsung, however, has stood its ground and the decision has paid off. What was ubiquitous is now a differentiator, and even as the company hawks another pair of Bluetooth earbuds, it’s standing its ground here. The back of the device, like the front, is covered in Gorilla Glass 6. The latest from Corning, which debuted over the summer, promises to survive “up to 15 drops.” But don’t try this at home with your shiny new $1,000 smartphone, as your results may vary. The material also helps facilitate what is arguably the device’s most compelling new feature: Wireless PowerShare. Samsung’s not the first company to roll out the feature — Huawei introduced the feature on the Mate 20 Pro last year. Still, it’s a cool feature and, perhaps most importantly, it beat Apple to the punch. The feature needs to be activated manually, by swiping down into notifications (it will also automatically shut off when not in use). From there, tapping Wireless PowerShare will pop up a dialog box, letting you know the feature is ready to us. 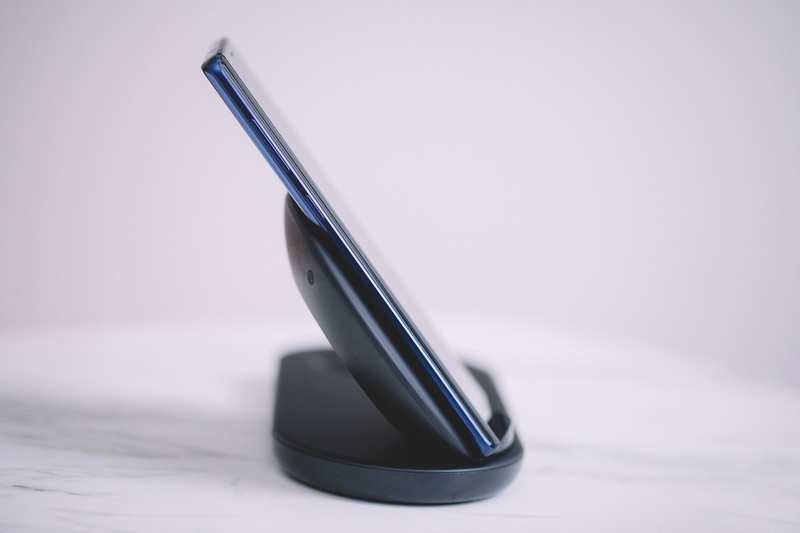 Turn the phone face down on a table and place a compatible phone on top, face up, and the S10 will go to work charging it. Placement can be a bit tough to get right the first couple of times. The trick is making sure both devices are centered. Once everything is where it should be, you’ll hear a quick notification sound and the phone will register as charging. In the case of the new Galaxy Buds, the sound is accompanied by the appearance of the case’s charging light. It’s a neat feature, for sure. I can certainly imagine lending some ill-prepared friend a little juice at the bar one night. I wouldn’t go throwing out my power bank just yet. For one thing, one of the phones needs to be face-down the whole time. 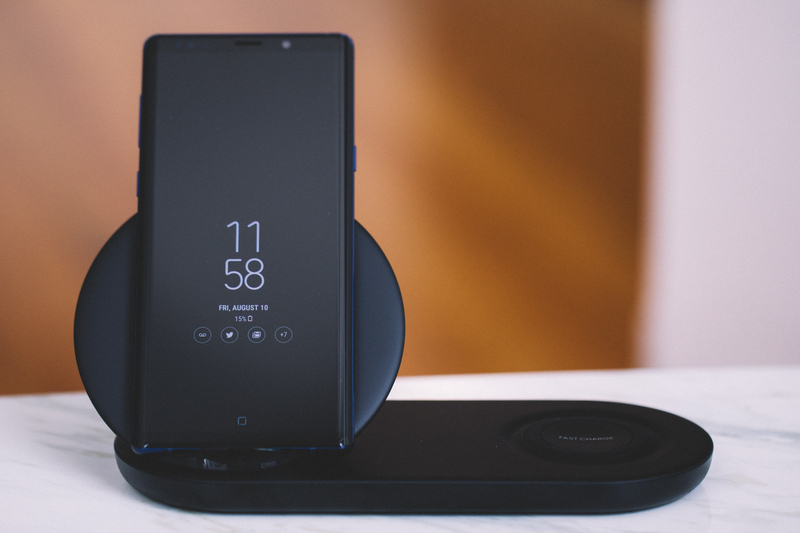 For another, wireless charging isn’t nearly as fast as its wired counterpart, so beyond the initial novelty of the feature, it may not ultimately be one you end up using a lot. And, of course, you’re actively draining the battery of the phone sharing power. It’s a little like a Giving Tree scenario, albeit with the lowest stakes humanly possible. Thankfully, the handsets all sport pretty beefy batteries. In the case of the S10+, it’s a massive 4,100 mAh (with the 5G model getting an even nuttier 4,500 mAh). It’s clear the days of Samsung’s Note 7-induced battery cautions are well behind it, thanks in no small part to the extensive battery testing the company implemented in the wake of a seemingly endless PR nightmare. As it stands, I was able to get around a full day plus two hours with standard usage while roaming the streets and convention center halls of Barcelona. That means you shouldn’t have to worry about running out of energy by day’s end — and you may even have a bit to spare before it’s all over. You know the drill by now, Samsung and Apple come out with a new flagship smartphone, which quickly shoots to the top of DxOMark’s camera ratings. The cycle repeats itself yet again — with one key difference: It’s a three-way tie. Really, there’s no better distillation of the state of the smartphone industry in 2019 than this. The latest iPhone, which is now half-a-year-old, is now a few spots down the list, with Samsung in a three-way tie for first. The other two top devices are, get this, both Huawei handsets. It’s been a banner year for the Chinese handset maker on a number of fronts, and that’s got to leave the Apples and Samsungs of the world a bit nervous, all told. For now, though, there’s a lot to like here… 109 points’ worth, in fact. The last several generations of camera races have resulted in some really well-rounded camera gear. It’s a setup that makes it difficult to take bad shots (difficult, but hardly impossible, mind), with the combination of hardware and software/AI improvements we’ve seen over the course of the last few devices. 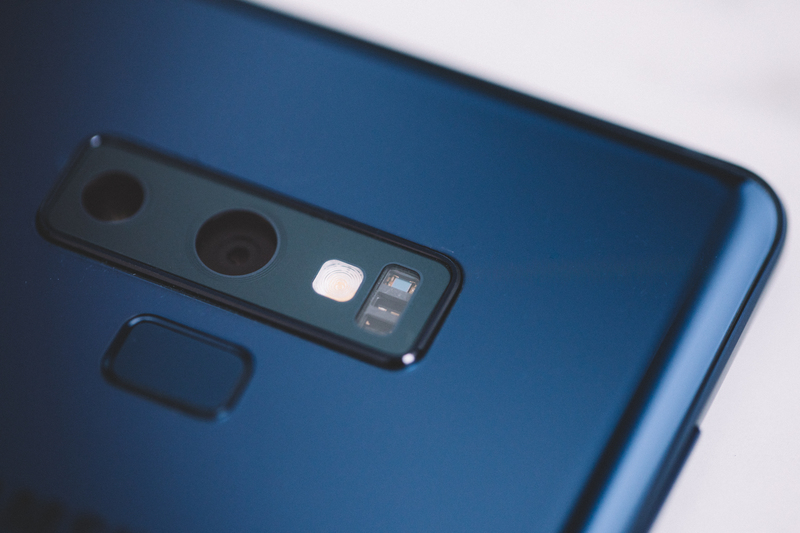 The camera setup varies from device to device, so we’re going to focus on the S10+ — the device we’ve spent the past week with (though, granted, the 5G model’s camera warrants its own write-up). The plus model features a three-camera array, oriented horizontally in a configuration that brings nothing to mind so much as the original Microsoft Kinect. The system is configured to let you seamlessly switch between lenses in order to capture a shot in a given situation. The telephoto can do 2x shots, while the ultrawide captures 123-degree shots. The 5G model, meanwhile, adds 3D-depth cameras to the front and rear, which is a pretty clear indication of where Samsung plans to go from here. That said, the current setup is still quite capable of pulling off some cool depth tricks. This is no better exemplified than with the Live Focus feature, which applies a Portrait Mode-style bokeh effect around the objects you choose. The effect isn’t perfect, but it’s pretty convincing. Above is a shot I took on the MWC show floor and used in the led for a story about the HTC Vive. There are some fun tricks as well, like the above Color Point effect. I’m not sure how often I’d end up using it, but damn if it doesn’t look cool. All of that, coupled with new touches like wide-image panorama and recent advances like super-slow-motion and low-light shooting make for an extremely well-rounded camera experience. Ditto for scene identification, which does a solid job determining the differences between, say, a salad and a tree and adjusting the shooting settings accordingly. Oh, and a low-key solid upgrade here are the improved AR Emojis, as seen above. They’re 1,000 times less creepy than the originals. I mean, I’m still not going to be sharing them with people unironically or anything, but definitely a step in the right direction. The present moment is an exciting one for the mobile industry. There were glimmers of promise all over the MWC show floor and a week prior at Samsung’s own event. A stagnant industry has caused the big players to get creative, and some long-promised technologies are about to finally get real. The Samsung Fold feels like a clear peek into the future of one of the industry’s biggest players, so it’s only natural that such an announcement would take some of the wind out of its flagship’s sails. 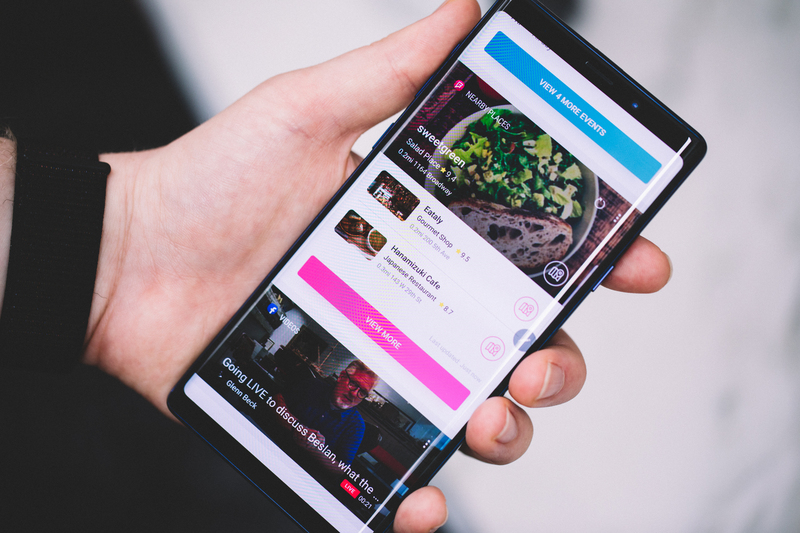 The S10 isn’t the smartphone of the future. Instead, it’s the culmination of 10 solid years of cutting-edge smartphone work that’s resulted into one of today’s most solid mobile devices. 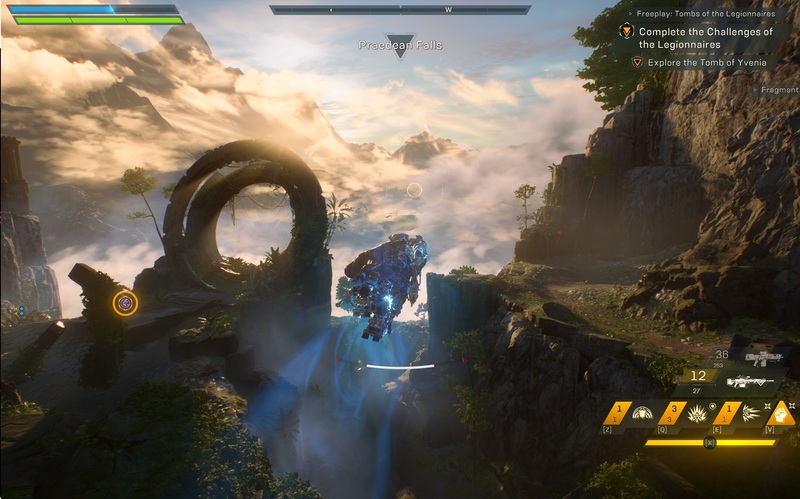 Anthem is the first attempt by Bioware (of Mass Effect and Dragon Age fame) to tap into the well of cash supposedly to be found in the “game as platform” trend that has grown over the last few years, with Destiny, Warframe and Fortnite as preeminent exemplars. After a botched demo weekend dampened fan expectations, the final game is here — and while it’s a lot better than the broken mess we saw a few weeks ago, it’s still very hard to recommend. I delayed my review to evaluate the game’s progress after an enormous day-one patch. While it is always premature to judge a game meant to grow and evolve by how it is immediately after launch, there are serious problems here that anyone thinking of dropping the $60 or more on it should be aware of. Perhaps they’ll all be fixed eventually, but you better believe it’s going to take a while. 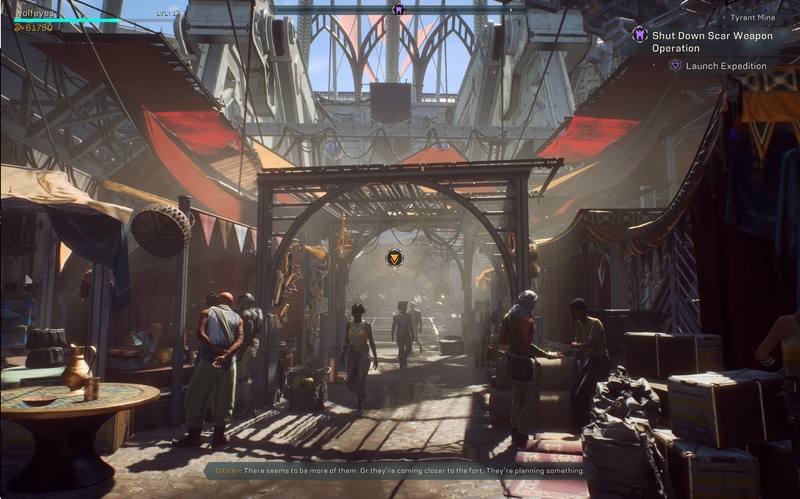 I’d estimate this is about half the game it’s clearly intended to be; it seems to me we must soon find out that most of Anthem, supposedly in development for five years or more, was scrapped not long ago and this shell substituted on short notice. The basic idea of Anthem is that you, a “freelancer” who pilots a mechanized suit called a “javelin,” fly around a big, beautiful world and blast the hell out of anything with a red hostility indicator over its head, which in practice is damn near everything. Once you’re done, you collect your new guns and gadgets and head back to base to improve your javelin, take on new missions and so on. If it sounds familiar, it’s basically an extremely shiny version of Diablo, which established this gameplay loop more than 20 years ago; its sequels and the innumerable imitators it spawned have refined the concept, bolstering it with MMO-style online integration, “seasons” of gameplay and, of course, the inevitable microtransactions. People play them simply because it’s fun to kill monsters and see your character grow more powerful. So Anthem is in good company, though of course for every success there are probably two or three failures and mediocre titles. Destiny has thrived in a way only because of its fluid and satisfying gunplay, while a game like Path of Exile leans on bulk, with skill trees and content one may never reach the ends of. Anthem, on the other hand, lacks the charms of either. It is wildly short on content and its moment-to-moment gameplay, while competent and in some ways unique, rarely has you on the edge of your seat. It’s a very mixed bag of interesting concepts and disappointing execution, coupled with some truly baffling user experience issues. I’ll cover the good parts first: the basics of flying around and shooting guys are for the most part solid. There’s a good variety of weapons, from hand cannons to shotguns and sniper rifles, with meaningful variations within those groups (though they usually boil down to rate of fire). You feel very cool during engagements, picking off enemies, dodging behind cover, flying to a new vantage point and so on. Each of the four javelins has a good pile of themed special abilities that significantly affect how you play; for instance, the Storm starts out with (basically) non-damaging ice shards that freeze enemies, setting them up for a damaging combo from its lightning strike — but soon you can swap those out for fiery explosions and a charge-up blast of cold, and so on. The synergies are somewhat limited in that some abilities clearly only work with some others, but there’s fun to be had experimenting. I played with three of the four javelins available (more to come, apparently) and they were all very distinct styles. The graphics really are lovely, from the future-past desert chic of Fort Tarsis to the lush jungle cliffs of the world you’ll be exploring. The light and landscapes are beautiful, and the character models are, too. Firefights look chaotic and splashy, which they are. There are also lots of customization options, in terms of colors and materials anyway — there’s a puzzling lack of cosmetics to buy with in-game or real currency; only two or three are available right now. 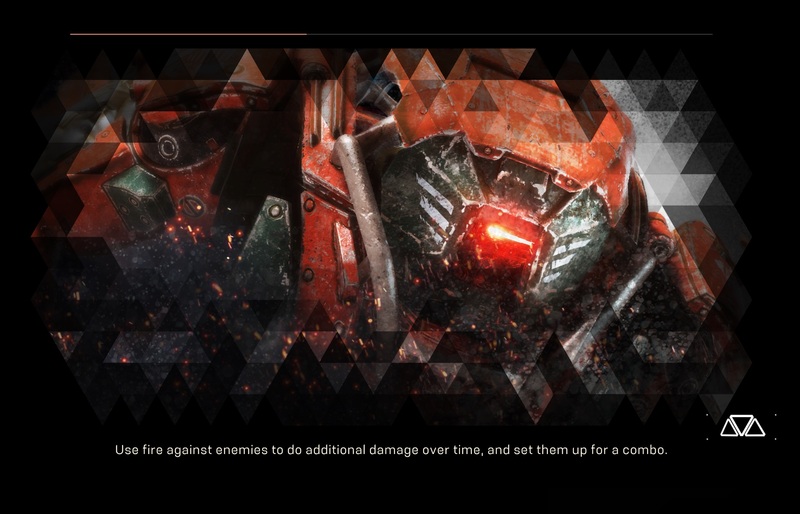 Unfortunately, that’s pretty much the extent of what Anthem gets right — and to be clear, it really can be fun when you’re actually in the middle of a firefight, blasting away, doing combos with friends, taking on hordes of bad guys. The rest is pretty much a mess. Here’s the greatest hits of how Anthem fails to operate, to respect the player’s time and, generally speaking, to be a good game. First and perhaps most egregious, the load screens are frequent and long. I timed it at more than five minutes from launch, and at least three or four different load screens, before I could actually play the game. Get ready for a lot of this! And incidentally, many fire attacks don’t actually set up combos. A long load time to bring up a huge world like Anthem’s I can understand. But load times to enter the screen where you change your gear? Load screens when you enter a small cave from the map? A load screen when you stray too far from your teammates and have to be teleported to them? A load screen when you finish a mission, then another before you can return to base — and another before you can equip your new gun? Oh my god! This is compounded by a sluggish and over-complicated UI that somehow manages to show both too much and not enough, while inconsistent keys and interaction elements keep you guessing as to whether you need to press F or space or escape to go forward, hit or hold escape to go back, use Q or E to go through submenus or if you have to escape out to find what you’re looking for. Equipment and abilities are mystifyingly under-explained: no terms like “+15% gear speed” or “+/-10% shield time” are explained anywhere in the tutorial, documentation or character screen — because there is no character screen! For a game that depends hugely on stats and getting an overall feel for your build and gear, you have to visit five or six screens to get a sense of what you have equipped, its bonuses (if comprehensible) and whether you have anything better to use. Even core game systems like the “primer” and “detonator” abilities are only cursorily referenced, by cryptic icons or throwaway text. The original Diablo did it better, to say nothing of Anthem’s competition at the AAA level. Navigating these menus and systems is doubly hard because you must do so not by just hitting a key, but by traveling at walking speed through the beautiful but impractical Fort Tarsis. It took a full 30 seconds for me to walk from my suit (the only place where you can launch missions) to a quest giver. And when you start the game, you start in a basement from which you have to walk 20 seconds to get to your suit! Are you kidding me? Even when you’re doing what the game does best, zooming around and getting in firefights, there’s a disturbing lack of mission variety. Almost without exception you’ll fly to a little arena — some ruins or a base of some kind — and are immediately alerted of enemies in the area. They warp in at a convenient distance, often while you watch, and attack while you stand near a gadget (to advance a progress bar) or collect pieces to bring back. Some more powerful guys warp in and you shoot them. Fly to the next arena, rinse and repeat. Sure, you could say “well it’s a shooter, what do you expect?” I expect more than that! Where are the aerial chases the intro leads you to believe exist? Enemies all either stand on the ground or hover just above it. They don’t clamber on the walls, get to the top of towers, shoot down on you from cliffs, climb trees, build gun emplacements. You don’t defend a moving target like the “Striders” (obviously AT-ATs) you supposedly travel in; bridges and buildings don’t crumble or explode; you don’t chase a bad guy into a big cave (or if you do, there’s a loading screen); the “boss-type” enemies are often just regular guys with more life or shields that recharge in the time it takes you to reload. Where are the enemy javelins? The enemy Striders? Ninety percent of what you kill will be ground-bound grunts taken down in a flash. For a game in which movement is emphasized and enjoyable, combat involves very little of it. The campaign, which is surprisingly well acted but forgettable, seems like it was tacked on in a hurry. Amazingly, a major cutscene details a much more interesting story, in which a major city is overrun and destroyed and only a few survive. It struck me at the time that this might have been the original campaign and starting mission, after which you are logically relegated to the nearby Fort Tarsis and forced to fight for scraps. Instead you have a series of samey missions with voice-overs telling you what’s happening while you stand there and watch progress bars fill up. Spoiler warning! What do you think is in the tombs? A taxing dungeon full of traps, monsters and ancient treasure? Nope! Literally just a tiny, empty room. And yes, there’s a loading screen — both in and out. Oh, and because many of the missions are difficult or tedious to do solo, you’ll want to team up — except if you’re slow to load, the mission will commence without you and you’ll miss the VO. Whoops! And by the way, if you just want to test out a new gun or power, you’ll have to join a multiplayer “freeplay” session to do it, which is another handful of loading screens. I’m not even going to get into the failings of the multiplayer. Because you can’t communicate it’s basically like playing with bots. By the way, there’s no PvP, so forget about skirmishing with your friends or randoms. Even the loot you get is frustratingly low-quality and unimaginative. Every gun or component is a standard model almost always with just slightly better damage than the last one you found, and perhaps a stat bonus. But the stat bonuses are boring and often nonsensical: do I really want an assault rifle that gives me 10 percent better damage with heavy pistols? Where’s the fun? For comparison when I was playing Diablo III recently I found a pair of leg armor early on that produced a powerful poison cloud whenever I was touching three or more enemies. Suddenly I played differently, rushing into crowds of monsters and leaping out, then immobilizing them while their life ticked down. I changed out my weapons, focused on physical defense, poison buffs… all because of a pair of pants! I’ve encountered nothing like that in 25 hours of Anthem. Every new power and gun is the same as the old one but with a higher number. Where’s the lightning bolt that also sets people on fire, or the plasma blast that always knocks down flying guys? The pistol that does double damage against one class of enemy, the sniper rifle that automatically chambers a new round instantly in one out of five shots? 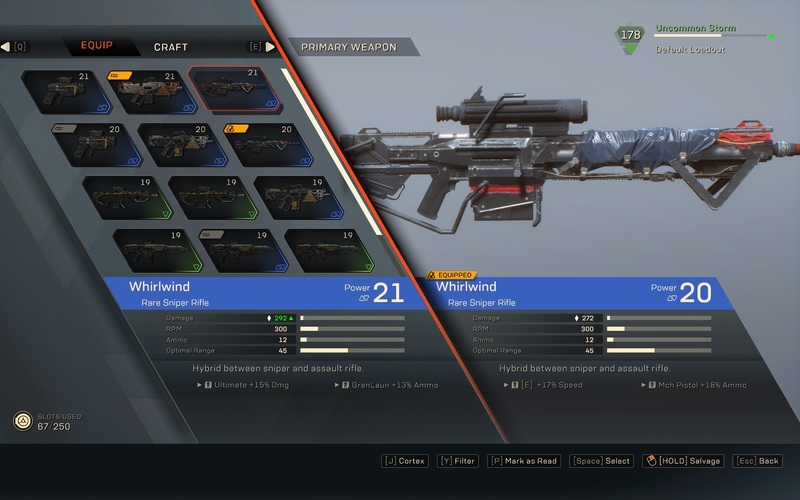 You do eventually find some “Masterwork” items that have unique qualities, but even these are compromised by the fact that their stats are completely random (such as a bonus to the wrong damage type), necessitating a grind to make or find them over and over until you get one with bonuses that make sense. So much of Anthem seems like it’s just missing. The campaign is half there; the controls and UI are half there; the loot is half there. The multiplayer is half there. Everything lacks a critical piece that makes it more than basically functional, and considering the game’s highly polished competition, this is inexplicable and inexcusable. I find it hard to believe this was in the works for five years when such elementary aspects like a character screen and working item descriptions aren’t included at launch. It’s more than possible that with perhaps half a year of work the Bioware team — which seems to be painfully aware of the game’s shortcomings, if their responses to detailed litanies of complaints on the game’s subreddit are any indication — could make this game worth the price of entry. But right now I couldn’t recommend it to anybody in good conscience, and I’m disappointed that a developer that’s created some of my favorite games dropped the ball so badly. It’s too bad, because I feel the pull of the game, the basic chaotic fun at the heart of any good looter-shooter, because I feel like this can’t really be it. This can’t really be all my abilities, right? This can’t be every weapon? I liked Anthem when it was at its best, but that was so very little of the time I spent in it, and it took so much effort and patience on my part to even make those moments a possibility. 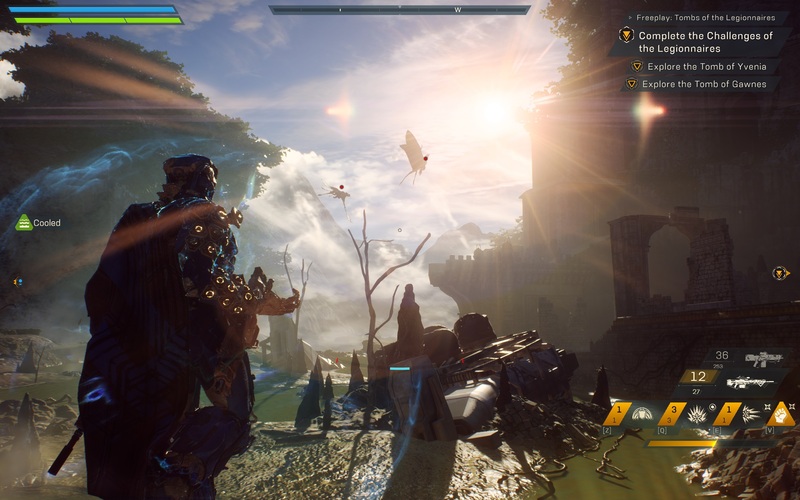 I’ll be checking back in with the game in the hopes that it makes a Destiny-esque turnaround, but for now I have to say Anthem suffers from a failure to launch. It’s been nearly a decade since Rockstar Games introduced Red Dead Redemption, a massive open world game with a story about as reflective of American culture as the Grand Theft Auto franchise. Tomorrow, Red Dead Redemption II goes live after months of breathless speculation. And yes, it’s as good as you dreamed it. That’s not to say that the layers of interactivity, which are a huge step forward for the next generation of open world games, are not without their faults. But the level of attention to detail, the way that the various components of the game work in conjunction, and the intricacy of even the most mundane activities makes playing Red Dead Redemption 2 feel as authentic as being Arthur Morgan yourself. But before we dive into the review, it’s worth noting that Devin and I each spent less than a dozen hours playing this game before sitting down to write. 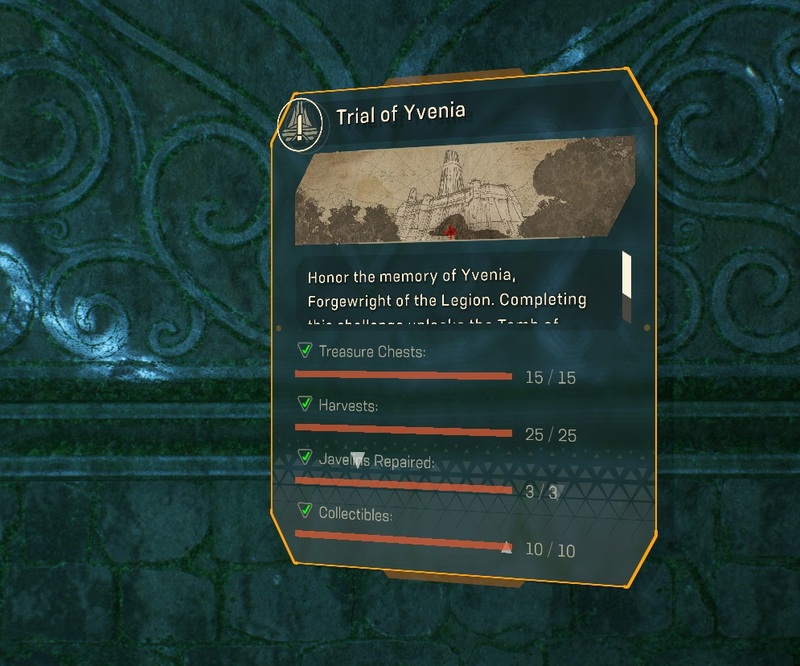 In fact, according to the progress bar in my game, I’m less than 20 percent of the way through the story, with even less completed of the challenges and the Compendium (index of items discovered/found). This game is so massive, it would be impossible to bring you thoughtful analysis of the story. We haven’t finished it yet. We do, however, have some early impressions of the game below. For those looking to avoid spoilers, don’t worry — everything we talk about takes place in the first couple hours of the game and we’ve shied away from naming places, characters, and missions. For a game this big, it kind of makes sense to start with the details. It’s evident that this is an environment not just crafted with care, but presented with directorial intent. That’s important to say right off the bat — this isn’t just a big chunk of land for you to wander, but the stage for a story, and a stage that has been dressed with more care than perhaps any game to date. It’s easy to talk about square mileage, about how many buildings can be entered, about the hours of dialogue you may encounter. But those are quantitative measures when what matter are the qualitative ones. The details are what set RDR2 apart. Everywhere you look there are details, from the seams and rips on the dozens of coats you’ll see and wear, to the fact that you have to clean and oil your gun regularly, to how the items you buy are actually on the walls of the general store you visit. The dialogue too is remarkably consistent and well acted, and largely free from anachronism while retaining personality and a sense of humor. Although it’s difficult to forget that you’re playing a game, these details make it very easy to fool yourself that the world in which you’re playing is a real place. Nearly everything you do, and how you do it, retains the conceit of the Old West. I can’t even begin to wonder how much work it took to put this together. I had similar thoughts when I was playing Assassin’s Creed: Odyssey, but while the scale and visual grandeur of that game impressed me, RDR2 hits those same notes while also hitting home in the much more difficult areas of authenticity, believability, and consistent direction. 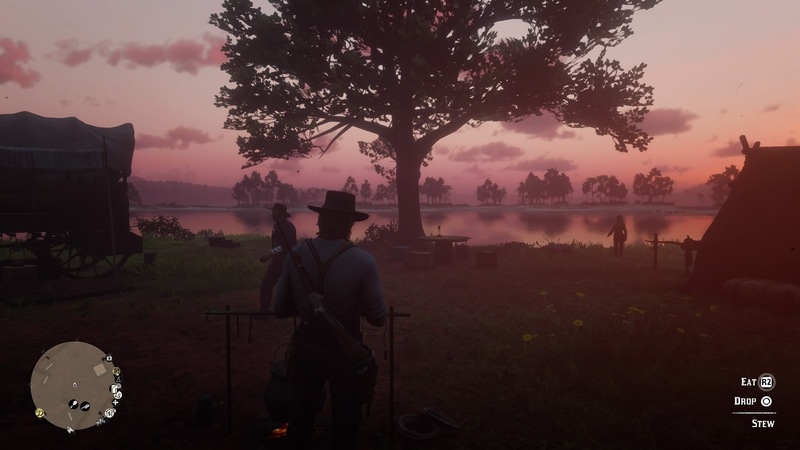 One of the loveliest characteristics of RDR2 is how reminiscent it is of the original Red Dead. Riding my horse along a beaten path, normally near a railway, takes me back to 2010. All the things players have done before — shooting, riding, walking through the world — feel similar to the last game, albeit slightly smoother. The cinematic camera (a page out of the GTA playbook) is particularly delightful, especially in autopilot alongside NPCs leading the way. The world itself is far more alive and full of detail, and this time around, there is something deeper behind each item, NPC, and animal in the game. Red Dead Redemption taught us that our left trigger button was about aim, and aim only. In the next iteration of the game, L2 opens the door to everything else that this immersive world has to offer. And it’s this untethering of every single object and character in the game that pushes RDR2 steps toward reality, and leaps forward for gaming. 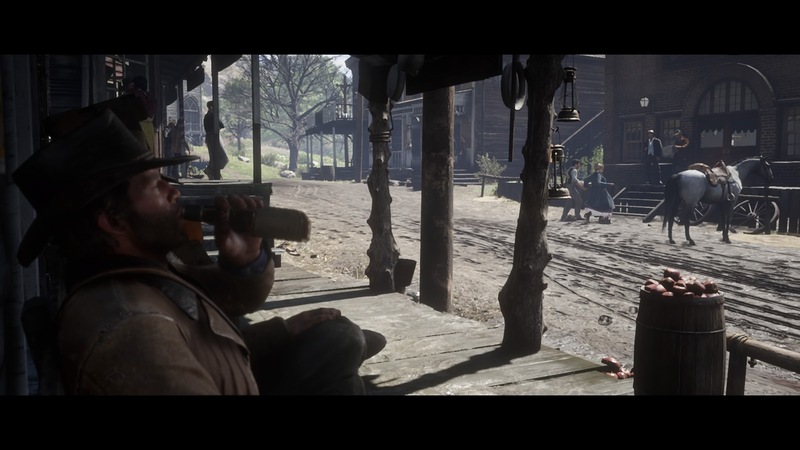 During Story missions, Arthur can use L2 to make real-time decisions about how to ambush a camp. If he focuses on an item on a shelf in the store, the player can open up a menu through L2 to buy or inspect that item. Focus on an NPC walking around camp, and L2 opens up the options to greet or antagonize them. Approach Arthur’s horse, and L2 opens up a larger menu to feed the horse, brush the horse, or pat the horse. But these aren’t just empty actions. Feeding and cleaning the horse fill her health and stamina cores, and patting the horse increases her bond with Arthur, all of which affect the quality of the horse as a tool. It’s important to note that, if Arthur gun is equipped, L2 defaults to aiming down sights, which sure can frighten a horse or an innocent NPC. Like a crow bar, L2 cracked open the whole world of Red Dead Redemption. 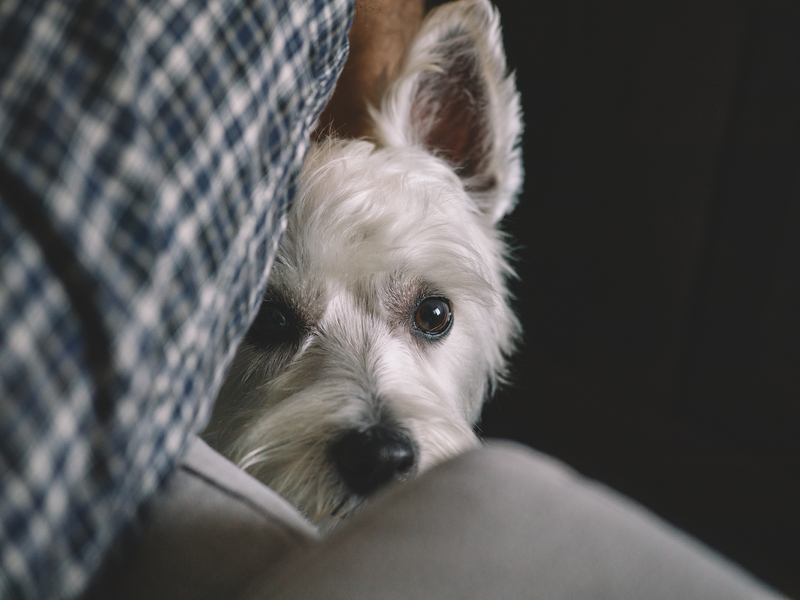 If you can inspect a letter on a nightstand, flip it over and read the back, and put it down again, what should stop you from inspecting a live animal to see if it’s worth hunting. L2 brings up information about the animal like its name, its quality, and what you can get from it. You can look up from a treasure map (handy) but have to dig through menus to pull it out in the first place. Not all of the game’s interfaces are so fluid and convenient. Trotting along through town in my horse, I tap L2 to see if I can sketch a bird flying by, or study a farm dog, or hail a passerby (“hey, pardner!”). But then I see my horse is tired and I want to feed it an apple. To do this I have to hold L1 to open the radial menu, then simultaneously hit R1 twice to get to the horse menu. Then I hold the right stick down in the direction of the item category I want to use, then (while holding L1 and the stick direction) pull the right and left triggers to find the item I want, and let go of L1 (but still hold the stick!) to use it (X and other normal “OK” buttons don’t do it). Are you kidding me? Meanwhile time continues to pass in the background, albeit slowly, so you’re doing all this under pressure. Hell, someone might even be shooting at you and you’re trying to quaff a health tonic before returning to the weapon menu to pull out the rifle from your horse storage before you get gunned down. There are also systems that are inadequately explained even when there’s opportunity for it. An early mission has you traveling with one of your bandit companions to hunt a big bear he saw a day’s ride away. Did I need to park my horse closer and hail him with it nearby? Did I “have” the pelt, or did it need to be there? Did I need to sell it to him first? Did I have to craft something on my own? Did I need to talk to my mission guy, or the cook who handles pelts in the camp? I had no clue and the game gave me no indication either. 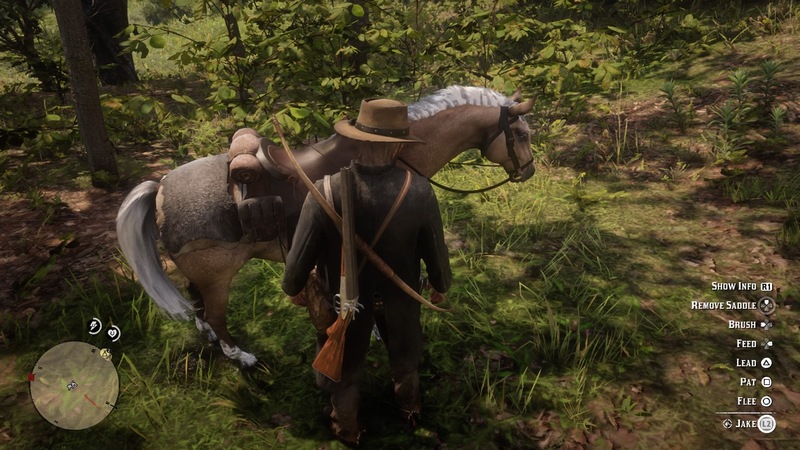 I couldn’t just keep it, since it took up valuable space on my horse — I had to turn down giving a lady a ride home because I’d have had to leave the pelt behind. Ultimately I brought it back to camp, but couldn’t make anything out of it there either. Carts and boxes were everywhere but I couldn’t store the pelt in any of them. I dropped it on the ground and found myself and it teleported to the edge of camp; a message told me that “items dropped in camp will appear in a convenient place” or something. Oh, so the whole camp is a storage area! Nope. As soon as I rode away I was told I’d “abandoned” the pelt and some of its parts would go to the nearest trapper. What? I don’t envy the developers and the info dumps they have to place like mines throughout this enormous world and story, but it felt like this was just one stumble after another, with relatively core gameplay elements that were almost completely unexplained. It’s an unexpected and forgivable failure given how much goes right, but the contrast is all the more jarring when it happens. 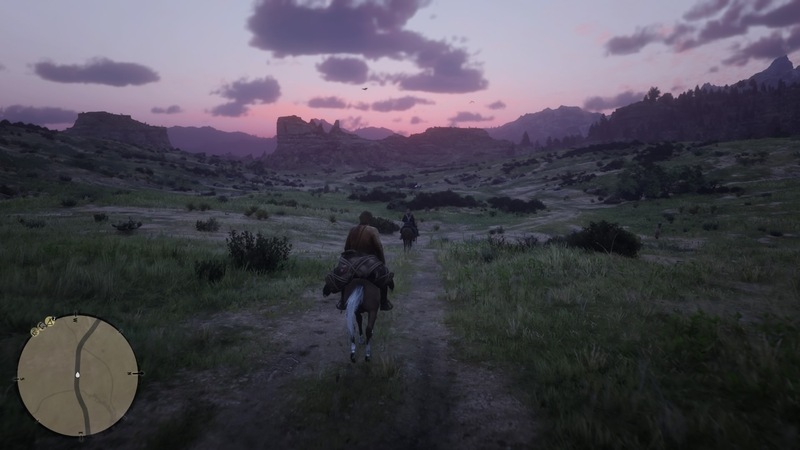 RDR2 sets the bar high in a number of ways, but the overarching achievement is how closely this game tries to mimic reality. In some ways, this opens the world up, and in others, it limits you. Arthur can’t carry around seven guns at once, so his horse stores the guns he can’t carry. If he forgets to equip his guns before running into a shootout on foot, he’s probably in trouble. Likewise, if Arthur goes hunting and loads a bear skin on the back of his horse, there isn’t any room to bring back a bounty target. But Arthur isn’t just hunting for sport, or even for food. Whereas the last Red Dead focused on hunting as a way to make money, eat, or simply collect animals in the index, hunting now comes with its own system similar to Dead Eye and is paired together with crafting (which I’ll get to shortly). The hunting system is called Eagle Eye, and it’s slightly reminiscent of the Instinct mode in Hitman. 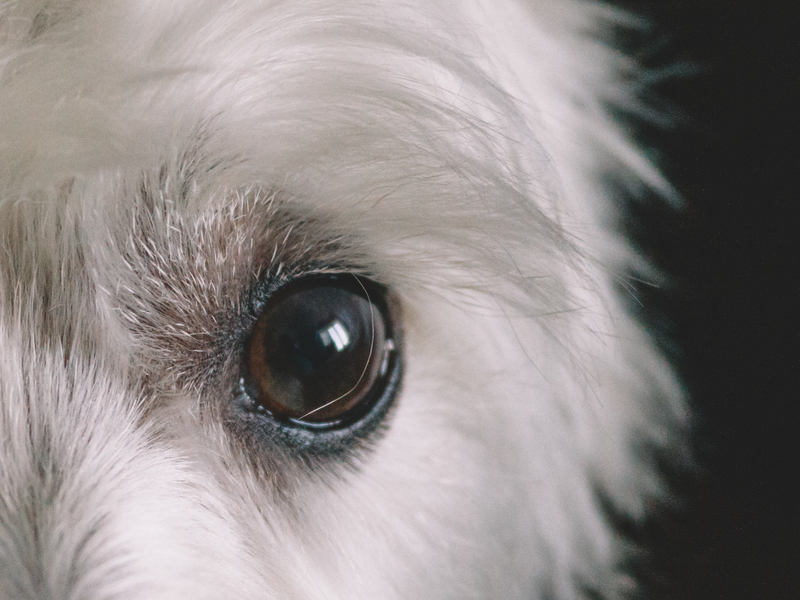 This system lets Arthur track animal trails, paw prints, animal dung, etc. to find his desired prey. Clicking L3 and R3 simultaneously activates Eagle Eye, and then pressing R1 lets you follow the track without remaining in the slow-mo world of Eagle Eye. Tracking doesn’t work so well for aquatic animals like fish and alligators, but fishing is an easy, laid-back way to gather food or turn a small profit. Inspecting animals, via L2, ensures Arthur is targeting the right size and quality of animal, and the method by which Arthur hunts affects the quality of the skins. This seems unimportant, but in the exotic world of crafting, you might find yourself caring a lot. Crafting allows Arthur or other NPCs (like the Trapper, or the camp cook Pearson) to create new items from stuff they’ve gathered in the wilderness. That could mean mixing up some meat with an herb to create a specific dish, which would have its own specific effect on health and stamina, or bringing back a few pelts to have more comfortable and colorful accommodations around camp. Again, this method of hunting and crafting is more in line with how an outlaw might actually live off of the land in 1899. And in adding Eagle Eye and the ability to craft, the more mundane parts of Red Dead Redemption have come alive. In the last game, hunting was something you stumbled upon. The most interactive piece of it was buying and setting bait. 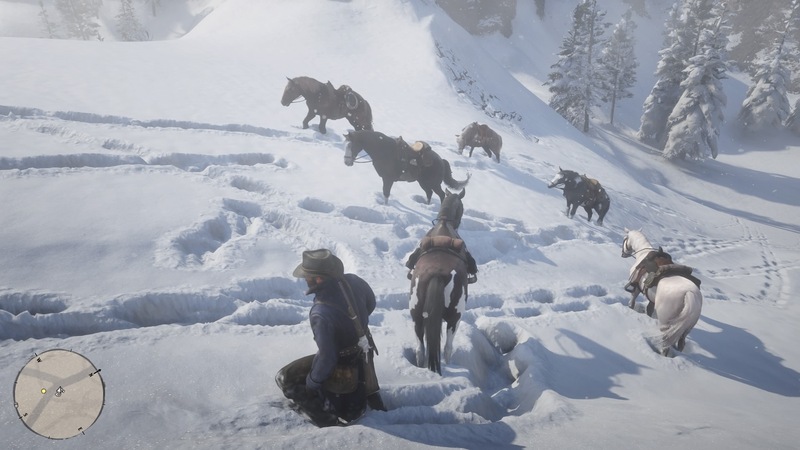 In RDR2, hunting big game like bears and buffalo is nearly as enjoyable an activity as the story missions. Stone cold or heart of gold? The honor system from Red Dead Redemption is alive and well in RDR2, but with some added flare. Because the game tries to mimic real life, with all its opportunities and limitations, the honor system is even more consequential now. Deeper interactivity through L2 allows you to interact with almost every NPC, even those that aren’t involved in challenges or side missions or story missions. What’s more, those NPCs remember you. In one instance, a man had been bit by a snake and was screaming out nearby a road. I stopped to help him, sucked the poison out, and went on my way. Later, when I rode into town, he was sitting on a bench outside the gunsmith and he called out to me. He said thanks and offered to pay for any gun I’d like to buy inside the gunsmith. My decision to save him, instead of killing him and looting his body, not only gave me honor points but resulted in a reward. In another instance, I accidentally pulled out my knife when I got in a bar fight. Instead of innocently beating a dude up, I killed him. The townspeople mentioned the murder the next time I came into town, and the only way to get rid of the bounty on my head was to pay it off at the Post Office. These decisions and their respective results are pretty straight forward. More nuanced, however, is the effect that Arthur’s honor has on the atmosphere of the game. 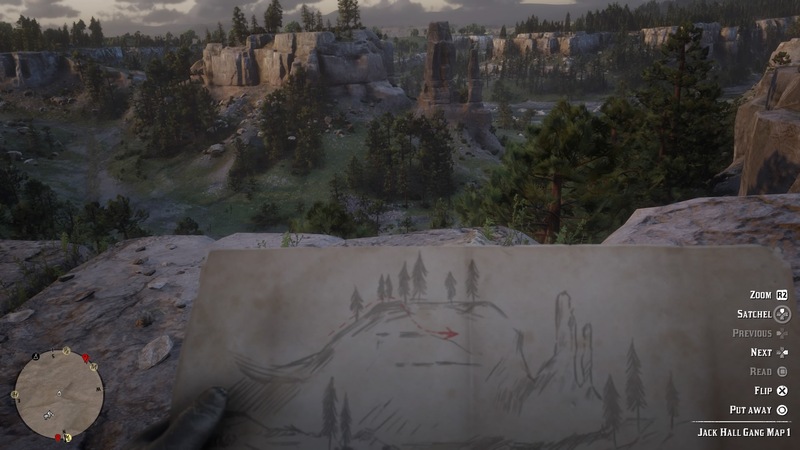 Honor level changes the way that the story plays out, affects the kill cams, alters the music in the game, and changes the way Arthur dreams and writes in his journal. In the short time we’ve been able to play the game, it’s hard to tell how extremely this affects the game. I did notice, however, when my honor was at its highest level that one of the shootouts was accompanied by up-tempo (almost celebratory) banjo music, and that kill cams had a goldish tint to them. It’s unclear if that was directly related to my honor or not, but it felt like a subtle dynamic change. This game offers no shortage of customization options, from your horse to your gun to your clothes to your camp. But there is perhaps no more influential factor that separates one player’s experience of the game from another than Honor. I want to give an especial callout to the detail lavished on the catalogs and books in the game, as well as Arthur’s journal. The tongue-in-cheek period-style descriptions of equipment and clothing items sometimes run to multiple paragraphs, and as there’s no particular hurry for much of the game, why not take the time to read them? Arthur’s journal is a treat as well. Although it is in some ways just a way to recap the story for you, it’s a pleasure to read the hand-written entries and the main character’s thoughts on events as they played out; missions will be described differently depending on how they ended or choices you made. And meanwhile every place you visit, and every critter you “study” will be sketched in the book in the order you see them. This isn’t explained or anything, and I was tickled when I figured it out. I had made a long trek back from a mission and stopped by a few places, scoped out a squirrel, some chickens, a deer and some other things in passing. When I went to my journal a few game days later, there they all were in order, as if (as is the intent) Arthur had in fact been jotting them down while I wasn’t looking. 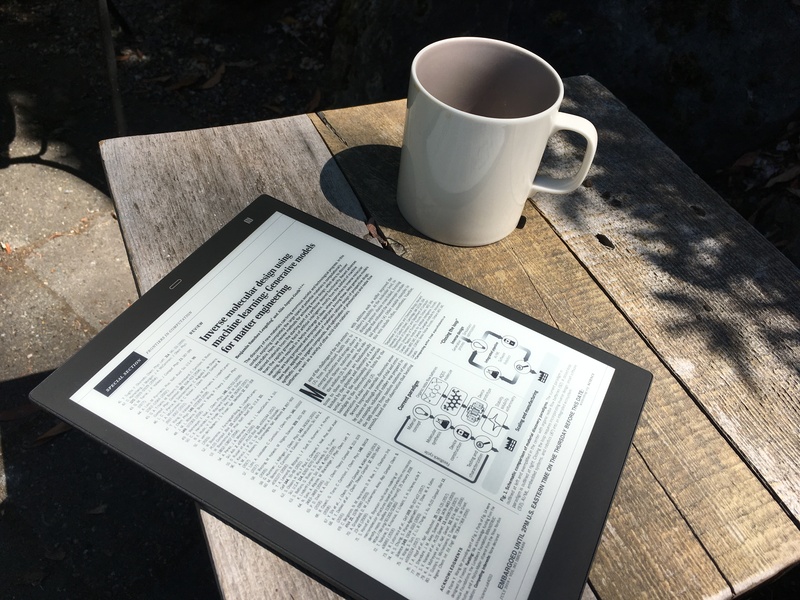 It’s a shame the journal and books aren’t more prominently presented — the journal is in your horse’s pack, or that’s where it ended up for me. Take the time to read it and anything else you come across; as much effort was put into the writing here as it was everywhere else in the game. Needless to say RDR2 gets a hearty recommendation from us despite some nitpicks and even a couple serious cracks in the carefully-constructed facade. It’s a landmark game in the open world genre and an artistic achievement in its own right. It’s worth your money. That said, our limited time with the game, and choice to play it as though we were regular players and not blast through to the end, means we’re unable to evaluate the entirety of the game. I find it exceedingly unlikely that the game gets worse — if anything, it likely gets better as the story and gameplay concepts progress. Still, there are a few specifics we should mention that we plan to look at over the next few weeks. Online isn’t live yet and won’t be for a while. This isn’t core to the main game but will surely be a huge draw as the game ages and its quality will affect whether it’s worth picking up again or recommending to a friend a year or two from now. The honor system, though we touched on it, is pretty hard to test thoroughly even with two people playing in parallel. We haven’t been able to experience how the game changes significantly to accommodate your choice of amorality or virtue. The story is in many ways just beginning, not to mention the side stories of your camp members and other figures you encounter. Did Rockstar frontload all the good acting and setpieces? Does it fizzle out at the end? Doubtful but we can’t say one way or the other. Once we’ve both finished the game or gotten far enough to feel confident in our opinions we’ll issue a followup review and link it here. 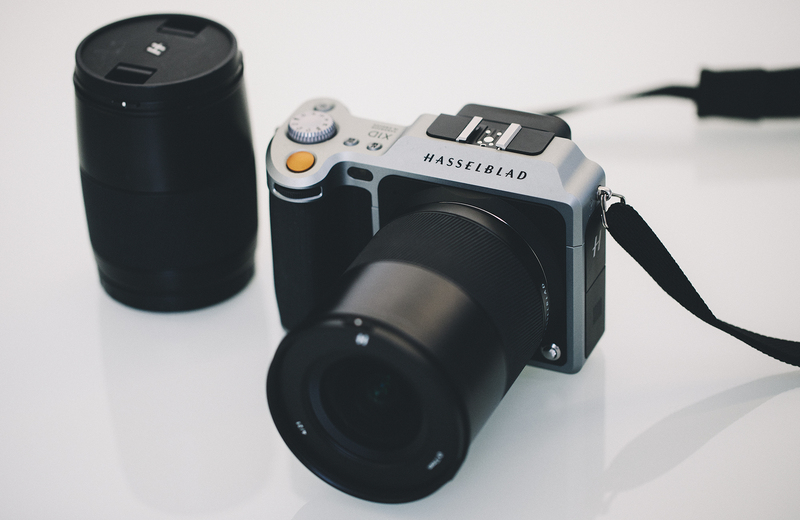 For hobbyist photographers like myself, Hasselblad has always been the untouchable luxury brand reserved for high-end professionals. To fill the gap between casual and intended photography, they released the X1D — a compact, mirrorless medium format. Last summer when Stefan Etienne reviewed the newly released camera, I asked to take a picture. After importing the raw file into Lightroom and flipping through a dozen presets, I joked that I would eat Ramen packets for the next year so I could buy this camera. It was that impressive. My schedule didn’t offer much time for either, so a weekend trip to the cabin would have to suffice. The weekend upstate was rather quiet and uneventful, but it served to be the perfect setting to test out the camera kit because the X1D is slow A. F.
It takes approximately 8 seconds to turn on, with an additional 2-3 seconds of processing time after each shutter click — top that off with a slow autofocus, slow shutter release and short battery life (I went through a battery within a day, approximately 90 shots fired). Rather than reiterating Stefan’s review, I would recommend reading it here for full specifications. Coming from a Canon 5D Mark IV, I’m used to immediacy and a decent hit rate. The first day with the Hasselblad was filled with constant frustration from missed moments, missed opportunities. 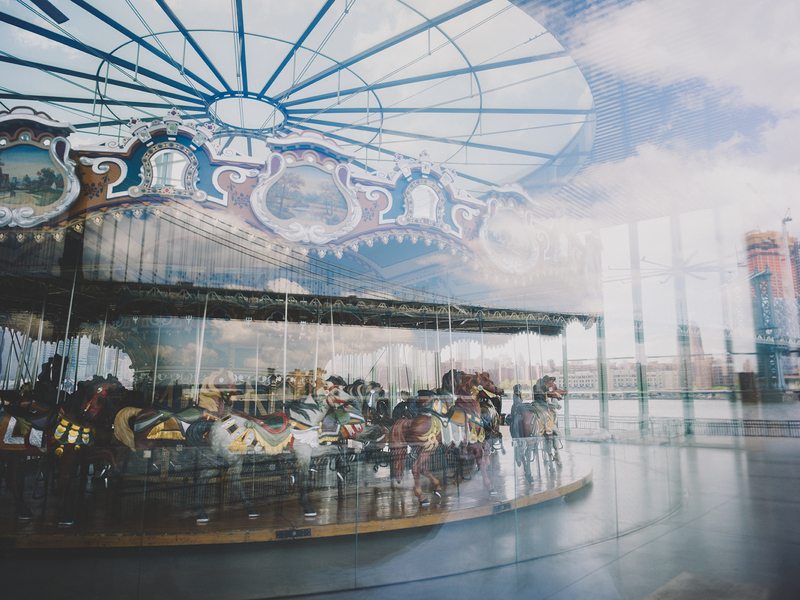 It felt impractical as an everyday camera until I shifted toward a more deliberate approach — reverting back to high school SLR days when a roll of film held a limited 24 exposures. When I took pause, I began to appreciate the camera’s details: a quiet shutter, a compact but sturdy body and an intuitive interface, including a touchscreen LCD display/viewfinder. Nothing looks or feels cheap about the Sweden-designed, aluminum construction of both the body and lenses. It’s heavy for a mirrorless camera, but it feels damn good to hold. Dramatic landscapes and cityscapes without an overly exaggerated perspective — this is where the XCD 4/21mm outperforms other super wide-angle lenses. With a 105° angle of view and 17mm field of view equivalent on a full-framed DSLR, I was expecting a lot more distortion and vignetting, but the image automatically corrected itself and flattened out when imported into Lightroom. The latest deployment of Creative Cloud has the Hasselblad (camera and lens) profile integrated into Lightroom, so there’s no need for downloading and importing profiles. Oily NYC real estate brokers should really consider using this lens to shoot their dinky 250 sq. ft. studio apartments to feel grand without looking comically fish-eyed. The gallery below was shot using only the mirror’s vanity lights as practicals. It was also shot underexposed to see how much detail I could pull in post. Here are the downsized, unedited versions, so you don’t have to wait for each 110mb file to load. I’d like to think that if I had time and was feeling philanthropic, I could fix a lot of love lives on Tinder with this lens. Normally, images posted in reviews are unedited, but I believe the true test of raw images lies in post-production. This is where the X1D’s slow processing time and quick battery drainage pays off. With the camera’s giant 50 MP 44 x 33mm CMOS sensor, each raw file was approximately 110mb (compared to my Mark IV’s 20-30mb) — that’s a substantial amount of information packed into 8272 x 6200 pixels. As someone who enjoys countless hours tweaking colors, shifting pixels and making things pretty, I’m appreciative of this. It allows for less fixing, more creative freedom. My friend Peter, a fashion photographer (he’s done editorial features for Harper’s Bazaar, Cosmopolitan and the likes), is the only person I know who shoots on Hasselblad, so it felt appropriate to ask his opinion. “It’s for pretentious rich assholes with money to burn,” he snarked. I disagree. The X1D is a solid step for Hasselblad to get off heavy-duty tripods and out of the studio. At this price point though, one might expect the camera to do everything, but it’s aimed at a narrow demographic: a photographer who is willing to overlook speediness for quality and compactibility. 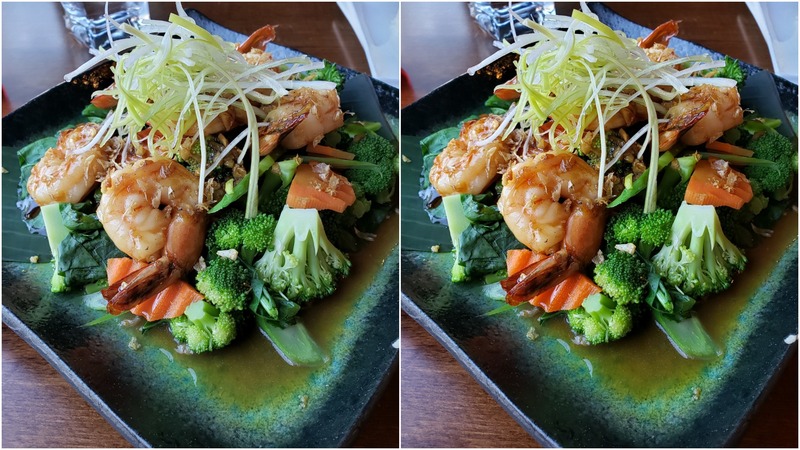 With smartphone companies like Apple and Samsung stepping up their camera game over the past few years, the photography world feels inundated with inconsequential, throw-away images (self-indulgent selfies, “look what I had for lunch,” OOTD…). My two weeks with the Hasselblad was a kind reminder of photography as a methodical art form, rather than a spray and pray hobby. There are no secrets in consumer electronics anymore. Sometimes it’s the fault of flubs and flaws and leakers. Sometimes it’s by design. In the case of the Galaxy Note 9, it’s a little bit of both. The Galaxy S9 wasn’t the blockbuster Samsung’s shareholders were expecting, so the company understandably primed the pump through a combination of teasers and leaks — some no doubt unintentional and others that seemed suspiciously less so. By the time yesterday’s big event at Brooklyn’s house that Jay-Z built rolled around, we knew just about everything we needed to know about the upcoming handset, and virtually every leaked spec proved accurate. Sure, the company amazingly managed to through in a surprise or two, but the event was all about the Note. And understandably so. The phablet, along with the Galaxy S line, forms the cornerstone of Samsung’s entire consumer approach. It’s a portfolio that expands with each event, to include wearables, productivity, the smart home, automotive, a smart assistant and now the long-awaited smart speaker. None of which would make a lick of sense without the handsets. If the Galaxy S is Samsung’s tentpole device, the Note represents what the company has deemed its “innovation brand,” the uber-premium device that allows the company to push the limits of its mobile hardware. In past generations, that’s meant the Edge display (curving screen), S-Pen, giant screen and dual-camera. That innovation, naturally, comes at a price. Here it’s $1,000. It’s a price that, until a year ago seemed impossibly steep for a smartphone. For the Galaxy Note 9, on the other hand, that’s just where things start. Any hopes that the new model might represent a move toward the mainstream for the line in the wake of an underwhelming S9 performance can be put to rest here. The Note is what it’s always been and will likely always continue to be: a device for the diehard. A very good device, mind, but one for those with an arm and or a leg to spare. Most of the good new features will trickle their way down the food chain to the company’s more mainstream device. At $720/$840, the S9 isn’t a budget phone by any stretch of the imagination, but at the very least, keeping it to three digits seems a little more palatable. A good rule of thumb for a hardware review is incorporating the product into one’s own life as much as possible. 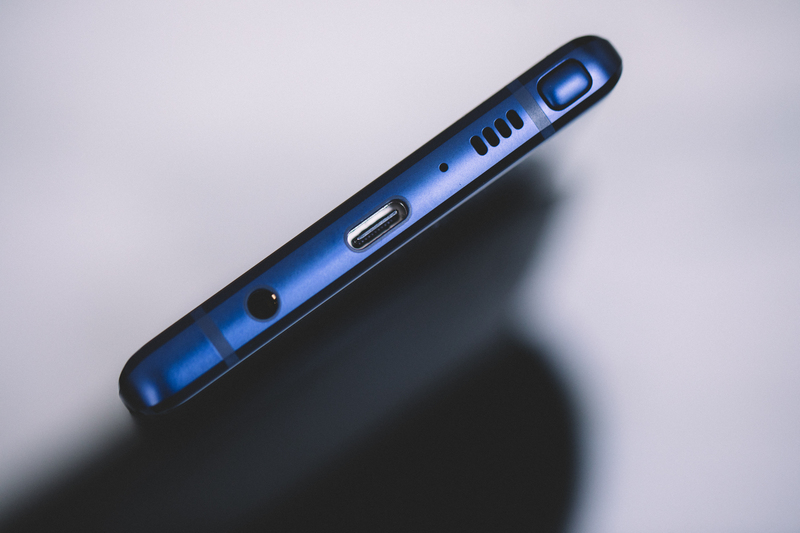 It’s a pretty easy ask with a device like the Note 9, which has the advantage of great hardware and software design built upon the learnings and missteps of several generations. It’s still not perfect by any means, and the company’s everything-and-the-kitchen-sink approach to the line means there are plenty of features that never really made their may into my routine. 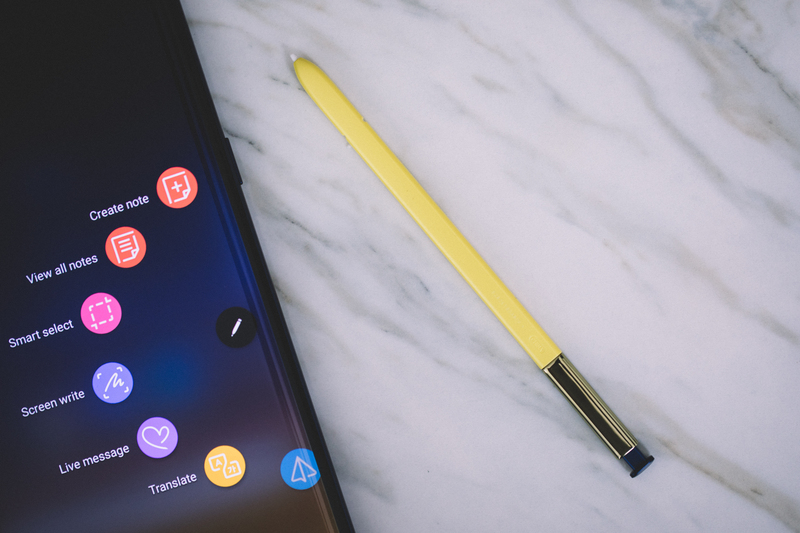 And while, as the largely unchanged product design suggests — the Note 9 doesn’t represent a hugely significant milestone in the product line — there are enough tweaks throughout the product to maintain its place toward the top of the Android heap. Let’s address the gorilla in the room here. Two years ago, Galaxy Notes started exploding. Samsung recalled the devices, started selling them, more exploded and they recalled them again, ultimately discontinuing the product. Samsung apologized profusely and agreed to institute more rigorous safety checks. For the next few devices, the company didn’t rock the boat. Battery sizes on Galaxy products stayed mostly the same. It was a combination of pragmatism and optics. The company needed time to ensure that future products wouldn’t suffer the same fate, while demonstrating to the public and shareholders that it was doing due diligence. Given Samsung’s massive business as a component manufacturer, the whole fiasco ultimately didn’t dent the bottom line. In fact, in a strange way, it might ultimately be a net positive. Now it can boast about having one of the most rigorous battery testing processes in the business. Now it’s a feature, not a bug. At 4,000mAh, the Note 9 features a 700mAh increase above its predecessor. It’s not an unprecedented number — Huawei’s already hit the 4,000 mark — but it’s the largest ever on a Note device, putting the handset in the top percentile. As far as how that actually translates to real-world usage, Samsung’s not giving a number yet. The company simply says “all day and all night” in its release. I found that to be pretty close to the truth. I unplugged the handset at 100 percent yesterday afternoon. I texted, listened to Spotify, took photos, downloaded and just generally attempted to live my life on the damn thing. Just under 22 hours later, it gave up the ghost and after much notification-based consternation about a critically low battery, the screen went black. Like I said, it’s not crazy battery life, but going most of a full day and night without a charge is a nice little luxury — and the sort of thing all phone makers should strive to achieve on their flagship products. The company also, kindly, included the new Wireless Charging Duo. The charging pad is not quite as ambitious as the AirPower, but unlike that product, introduced nearly a year ago by Apple, I have this in my hands right now. So, point: Samsung. 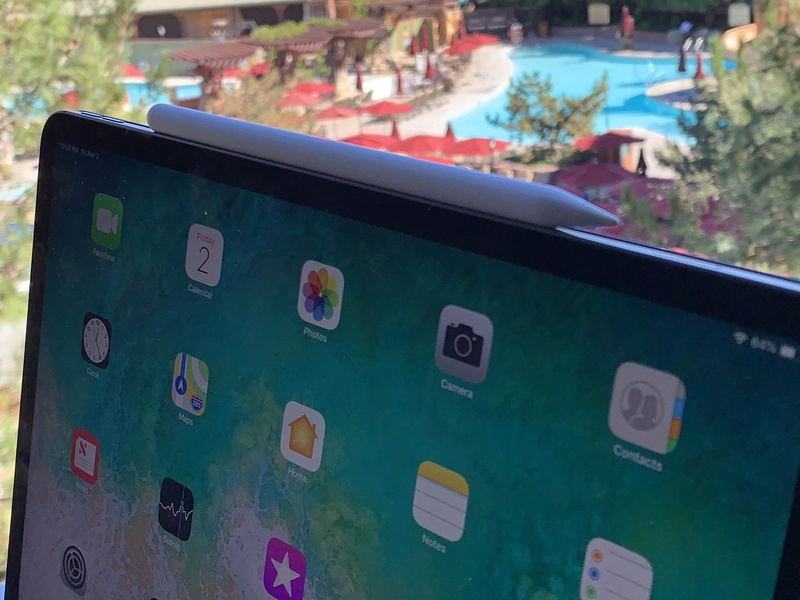 Charging the device from zero to 100 percent took three hours on the dot with the $120 “Fast Charge” pad. And it’s nice and toasty now. Okay, about that price. Again, we’re talking $999.99 to start. There’s also a second SKU. That one will run you $1,295.99. Take a moment if you need to. That’s a silly amount of money if you’re not the starting point guard for the Golden State Warriors. So much for the rumors that the company would be working to make its devices more economically accessible. And while the premium hardware has always meant that the Galaxy line is going to remain on the pricey side, I can’t help but point out that a few key decisions could have kept the price down, while maintaining build quality. Storage is arguably the primary culprit. The aforementioned two SKUs give you either 6GB of RAM with 128GB or 8GB of RAM with 512GB. With cloud syncing and the rest, it’s hard to imagine I would come close to that limit in the two or so years until the time comes to upgrade my handset. I’m sure those sorts of crazy media-hoarding power users do, in fact, exist in the world, but they’re undoubtedly a rarity. Besides, as Samsung helpfully pointed out, 512GB SD cards already exist in the world. Sure, that’s another $350 tacked onto the bottom line, but it’s there, if you need it. For most users, it’s hard to see Samsung’s claim of having “the world’s first 1TB-ready smartphone” (512GB+512GB) exists for little more reason than racking up yet another flashy claim for the 1960s Batman utility belt of smartphones. Sure, Samsung no doubt gets a deal on Samsung-built hard drives, but the component has to be a key part in what’s driving costs up. For a company as driven by choice as Samsung, I’m honestly surprised we’re not getting more options up front here in the States. Confession: After testing many Galaxy Note models over the course of many years, I’ve never figured out a great use for the S-Pen. I mean, I’m happy that people like it, and obviously all of the early skepticism about the return of the stylus was quickly put to rest, as the company has continued to go back to the well, year after year. But all of the handwritten note taking and animated GIF drawing just isn’t for me, man. I also recently spoke to an artist friend who told me that the Note doesn’t really cut it for him on the drawing front, either. Again, if you like or love it, more power to you, but it’s just not for me. As silly as the idea of using the S-Pen as a remote control might appear at first glance, however, it’s clear to me that this is the first use of the built-in accessory I could honestly see using on a daily basis. It’s handy once you get beyond the silliness of holding a stylus in your hand while running, and serves as a handy surrogate for those who don’t own a compatible smartwatch. 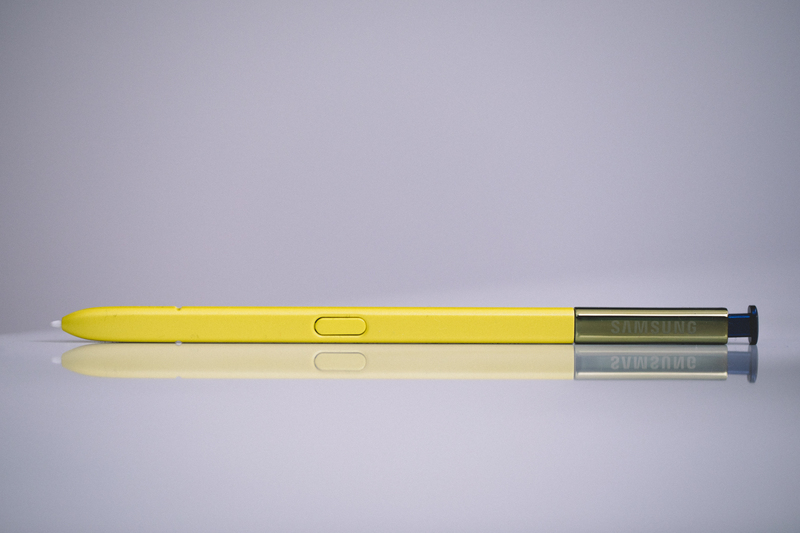 The S-Pen now sports Bluetooth Low Energy, allowing it to control different aspects of phone use. 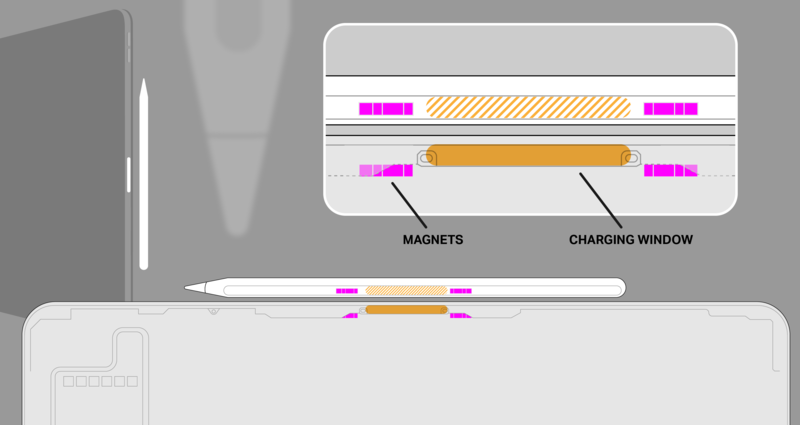 Low Energy or not, that tech requires power, so the stylus now contains a super conductor, which charges it when slotted inside the phone; 40 seconds of charging should get you a healthy 30 minutes of use. Even so, the phone will bug you to remind you that you really ought to dock the thing when not in use. The compatible apps are still fairly limited at launch, but it’s enough to demonstrate how this could be a handy little addition. Of the bunch, I got the most out of music control for Spotify. One click plays/pauses a song, and a double-click extends the track. Sure, it’s limited functionality, but it saved me from having to fiddle with the phone to change songs went I went for my run this morning. 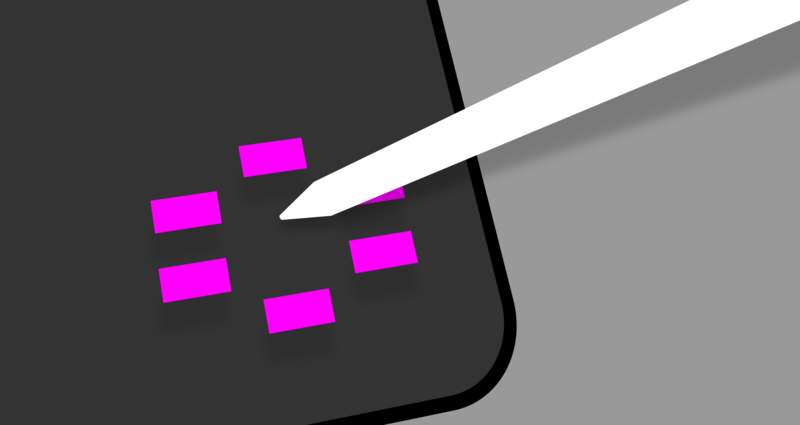 You’ll need to be a bit more creative when determining usefulness in some of the other apps. 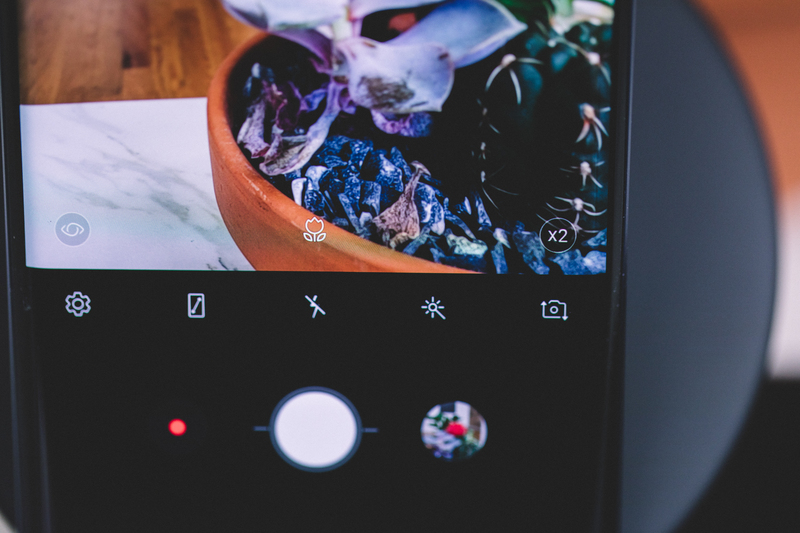 Using it as a shutter button in the camera app, for instance, could be a useful way to take a selfie without having to hold the phone at arms’ length. The entire time, I wondered what one might be able to accomplish with additional buttons (volume/rewind/gameplay)? What about a pedometer to track steps when you’re running on the treadmill without it in the pocket? Or even a beacon to help absent-minded folks like myself find it after we invariably drop it between couch cushions. But yeah, I understand why the company would choose to keep things simple for what remains a sort of secondary functionality. Or, heck, maybe the company just needs to hold some features for the Note 10 (Note X?). Oh, and the Blue and Lavender versions of the phone come in striking yellow and purple S-Pens, with lock-screen ink color to match. So that’s pretty fun. Nowhere is the Note’s cumulative evolution better represented than the camera. Each subsequent Galaxy S and Note release seem to offer new hardware and/or software upgrades, giving the company two distinct opportunities per year to improve imaging for the line. The S9, announced back in February, notably brought improved low-light photography to the line. The dual aperture flips between f/1.5 and f/2.4, to let in more light. This time out, the improvements are mostly on the software side of things. Two features in particular stand out: Scene Optimizer and Flaw Detection. The first should prove familiar to those who’ve been paying attention to the smartphone game of late. LG is probably the most prominent example. Camera hardware is pretty great across the board of most modern smartphone flagships. As such, these new features are designed to eliminate the current weakest link: human error. Scene Optimizer saves amateur photographers from having to futz with more advanced settings like white balance and saturation. The feature uses AI to determine what the camera is seeing, and adjusts settings accordingly. There are 20 different settings, including: Food, Portraits, Flowers, Indoor scenes, Animals, Landscapes, Greenery, Trees, Sky, Mountains, Beaches, Sunrises and sunsets, Watersides, Street scenes, Night scenes, Waterfalls, Snow, Birds, Backlit and Text. Some are pretty general, others are weirdly specific, but it’s a good mix, and I suspect Samsung will continue to add to it through OTA updates. That said, the function itself doesn’t need a cloud connection, doing all of the processing on-board. The feature worked well with most of the flowers and food I threw at it (so to speak), popping up a small icon in the bottom of the screen to let me know that it knows what it’s looking at. It also did well with book text. The success rate of other things, like trees, were, unsurprisingly, dependent on context. Get just the top part and it identifies it as “Greenery.” Flip the phone to portrait mode and get the whole of the trunk and it pops up the “Tree” icon. I did get a few false positives along the way; the Note 9 thought my fingers were food, which is deeply disturbing for any number of reasons. Obviously, it’s not going to be perfect. I found, in the case of flowers that it has the tendency to oversaturate the colors. If you agree, you can disable the feature in settings. However, you have to do this before the shot is taken. There’s no way to manually override the feature to tell it what kind of object you’re shooting. That seems like a bit of a no-brainer addition. Flaw Detection serves a similar role as Scene Optimizer, helping you avoid getting in your own way as an amateur photog. The feature is designed to alert you if a shot is blurry, if there’s a smudge on the screen, if the subject blinked or if backlighting is making everything look crappy. In the case of lens smudging and backlighting, it only bothers with a single alert every 24 hours. The blink detection worked well. Blur detection, on the other hand, was a bit more of a crap shoot for subjects in motion and those that were too close to the lens to get a good focus. The feature could use a bit of work, but I still think it’s one of the more compelling additions on the whole of the device and anticipate a lot of other companies introducing their own versions in the coming year. The more the Note changes, the more it stays the same, I suppose. As expected, the design language hasn’t changed much, which is no doubt part of what made Samsung CEO DJ Koh think he could get away with using the device in public ahead of launch. The footprint is virtually the same in spite of the ever-so-slightly larger screen (6.3 > 6.4-inches, same 2,960 x 1,440 resolution) — from 162.5 x 74.8 x 8.6 mm on the 8, to 161.9 x 76.4 x 8.8 mm on the 9. That’s perfectly fine. Samsung’s done an impressive job cramming a lot of screen into a manageable footprint over the past several gens. The only major change (aside from the lovely new blue and purple paint jobs) is the migration of the fingerprint sensor from the side of the camera to underneath it. This was a clear instance of Samsung responding to feedback from users frustrated by all the times they mistook the camera for the fingerprint reader. The new placement helps a bit, though it’s still fairly close to the camera, and the fact that both are similar shapes doesn’t help matters. Thank goodness for that new smudge detector. Oh, and the headphone jack is still present, because of course it is. For Samsung, it’s an important way to distinguish the product and approach from a world gone dongle mad. Oh Bixby, you eternal bastion of unfulfilled potential. A full rundown of new features can be found here. Overall, the smart assistant promises to be more conversational, with better concierge features. That said, Samsung’s once again tweaking it until the last moment, so I can’t offer you a full review until closer to the phone’s August 24 street date. So stay tuned for that, I guess. I will say that the setup process can be a bit of a slog for a feature designed to make everything easier. Playing with Bixby voice required me to navigate several pages in order to connect the two. Thankfully, you should only have to deal with that the one time. Samsung’s continuing to tweak the internals to make its device more suitable for gaming. The water-carbon cooling system tweaks the liquid cooling system found on the device since the S7, to help diffuse heat more efficiently. The large, bright screen meanwhile, is well-suited to mobile gaming, and the 6GB model handled Fortnite fairly well. The next smartphone revolution always seems to be a year away. The potential arrival of a Samsung device with a foldable display makes the notion of carrying a massive device around in one’s pocket almost quaint. For the time being, however, the Note remains one of the best methods for transporting a whole lot of screen around on your person. A lot has changed about the Note in the past seven years, but the core of the device is mostly the same: big screen and stylus coming together to walk the line between productivity and entertainment. It’s big, it’s bold, it’s too expensive for a lot of us. But it remains the phablet to beat. When reviewing hardware, it’s important to integrate it into your life as much as possible. If you can, swap it in for your existing devices for a few days or a week, to really get an idea of what it’s like to use it day to day. There are certain nuances you can only discover through this approach. Of course, that’s easier said than done in most cases. Switching between phones and computers every week isn’t nearly as glamorous as it sounds, especially when juggling multiple operating systems. As a MacBook Pro owner, however, this one was a fair bit easier. In fact, there’s very little changed here from an aesthetic standpoint, and beyond the quieter keyboard and Siri integration, there’s not a lot that’s immediately apparent in the 2018 MacBook Pro refresh for me. That’s because I’m not the target demographic for the update. I write words for a living. There are large portions of my job that I could tackle pretty easily on an Apple IIe (please, no one tell the IT department). This upgrade is for a different class of user entirely: the creative professional. These are the people long assumed to be the core user base for the Mac ecosystem. Sure, they only account for around 15 percent of Mac users, according to the company’s estimates, but they’re the people who use the machines to make art. And as such, it’s precisely the group of influencers the company needs to court. In recent years, however, some vocal critics have accused the company of taking that key demo for granted. Apple has seemed more focused on a populist approach to its technology. The simplification of pro software like Final Cut X and the seeming abandonment of the Mac Pro have been regarded as exhibits A and B. 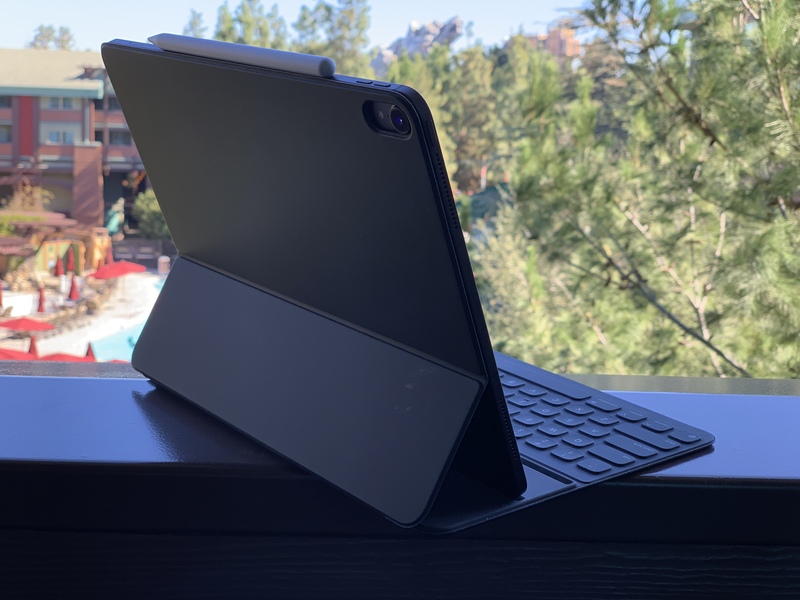 For the first time in recent memory, the company has serious competition for the hearts and minds of creative pros, including Microsoft, which has made the category a focus with its high-end Surface line. But the last two years have seen Apple fighting back. The company was uncharacteristically open about the status of the Mac Pro line, which has been undergoing a fundamental rethink. In the meantime, it released the iMac Pro and added a bunch of new features to macOS aimed firmly at that category. 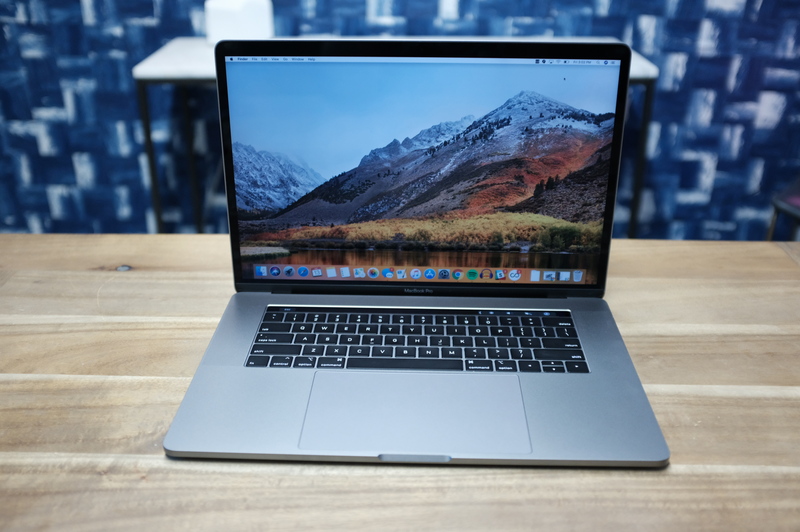 The new MacBook Pro continues that trend; the form factor remains the same, and the changes are largely under the hood. But these are in fact extremely powerful machines built around the premise that, in 2018, one shouldn’t have to compromise power in order to go portable. Well, maybe a little — but in those cases where you need some intense graphical processing, there’s always an external GPU, which makes the machine capable of VR and other process-intensive tasks. The new Pros top out at a bank-breaking $6,699, presenting a healthy jump over the highest-end models money could buy last year. For the rest of us, however, the starting price remains the same, at $1,799 for the 13-inch and $2,399 for the 15. There’s a lot going on here. 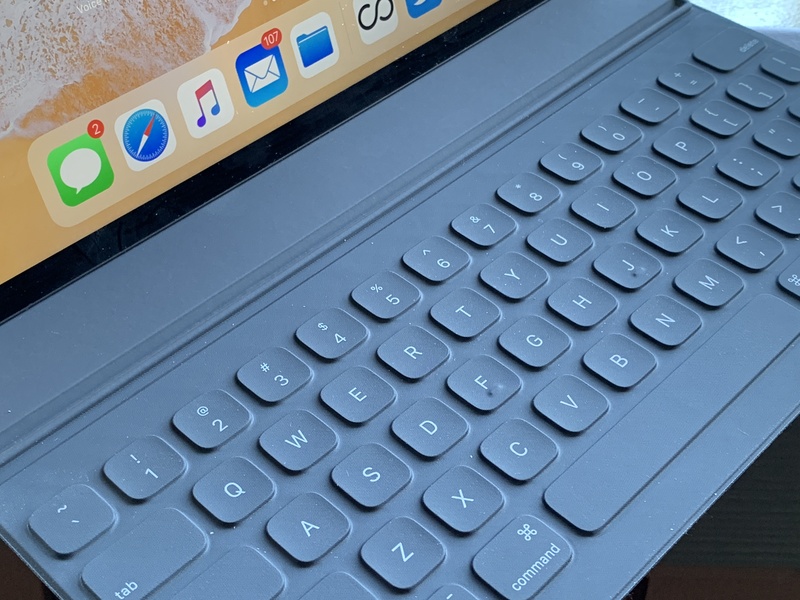 First, as many pointed out in the initial announcement, Apple didn’t alter the fundamentals here — they just made the loud typing a bit quieter. That was a surprise to many, given everything that’s happened on that front over the last several months. After all, if the company was going to go out of its way to update the technology, wasn’t a fundamental rethink in order here? A couple of things. First, things (and lawsuits) didn’t really start getting hot and heavy on that front until recently. The first major class-action suit was filed back in May. Hardware iteration happens slowly, especially with a massive company that supports so many users. After all, you want to get things right — especially when correcting a known issue. A couple of months is hardly sufficient lead time. Second, Apple says the actual instances of real keyboard failure are a small minority. I’m inclined to believe that’s the case, though the internet certainly has the tendency to amplify these kinds of things. But still, there seems a reasonable possibility that some bigger fix is in the works. 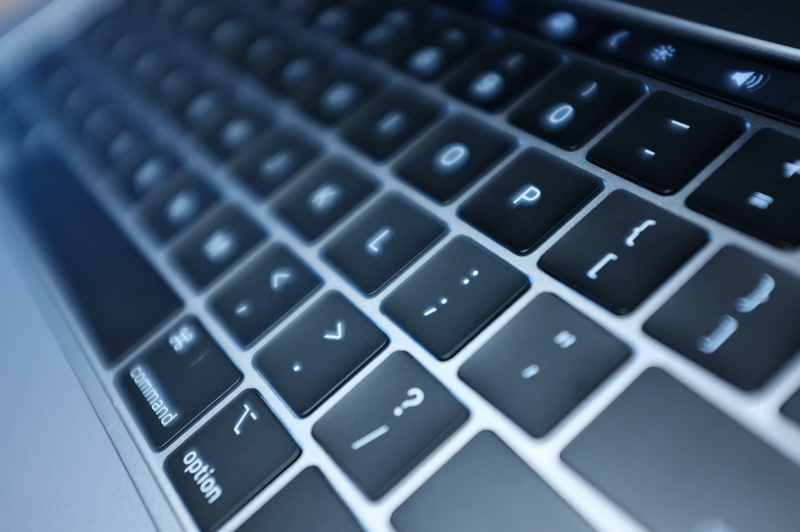 The company will also point out that, in spite of pushback, many users like the new keyboards. Based on the multiple threads of discussion we had after the news was announced, I can tell you that this is anecdotally true among the TechCrunch staff. Things got better with gen two, and I’ve certainly become more used to typing on it. I still didn’t love it at first, but I’d say I’m pretty much keyboard-agnostic at this point. Along with the mechanics, the key travel is the same. So if you had issues with the typing being too shallow for your liking, sorry, you’re out of luck here. An early teardown points to a thin, silicone membrane sitting on top of the keyboard switch that serves to help protect the undercarriage from spills, food particles and the like. I once got a small piece of something stuck under there and it hampered movement entirely. In my case, it was nothing that a blast of canned air couldn’t fix (we don’t all have one lying around, but we really should), but clearly not everyone has been so lucky on that front. It seems as though the muffling of the sound and the extra sense of tactile pushback was a happy accident of a kind here, but hey, we’ll take it. Here’s a longish thing we wrote after getting our hands on the system. We enlisted Anthony Ha, TechCrunch’s Loud Typing World Champion five years running (they tried to recruit him out of college, but the allure of writing about VCs was too strong) to try it out. Even with Anthony downright punishing the keys, the result was noticeable. The new keys aren’t silent, but they’re a lot less likely to get you kicked out of the library. There’s not a huge difference between the actual decibel levels between the two, but the older model’s more staccato typewriter clacking sound has become more dull and less harsh on the ears, which likely makes it sound that much quieter. Another tidbit here for people who focused on such things: The keys’ cap color is ever-so-slightly lighter than the last. I thought I was going crazy at first, but there you go. I mean, I still think I’m losing my mind, but for non-keyboard-related reasons. Configured on Apple’s site, that will run you a cool $6,669 — about the same as the monthly rent on a studio apartment in San Francisco, from what I understand. It’s worth noting here that it’s the SSD storage that really pushes the cost into the stratosphere. That’s an additional $3,200 over the default 512GB. Again, 4TB is probably overkill for the vast majority of users. All of the above configurations are, really, but they’re there if you want/need them. 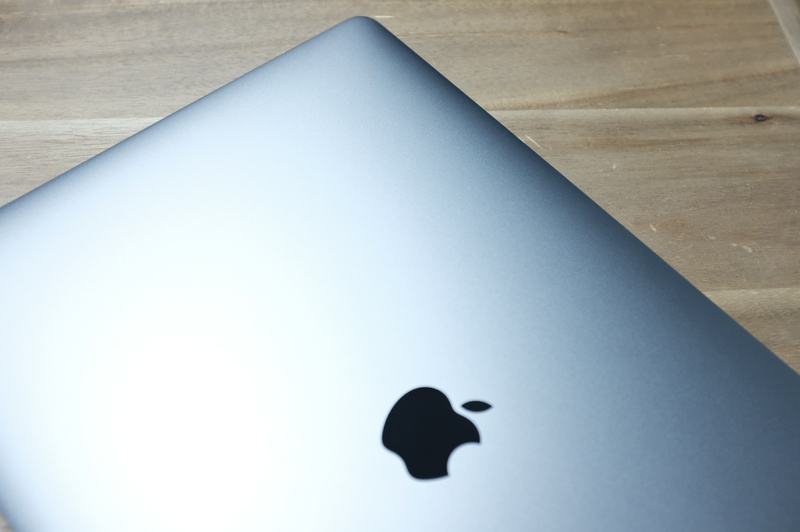 Apple was able to push memory up to 32GB courtesy of finally introducing DDR4 to the MacBook. 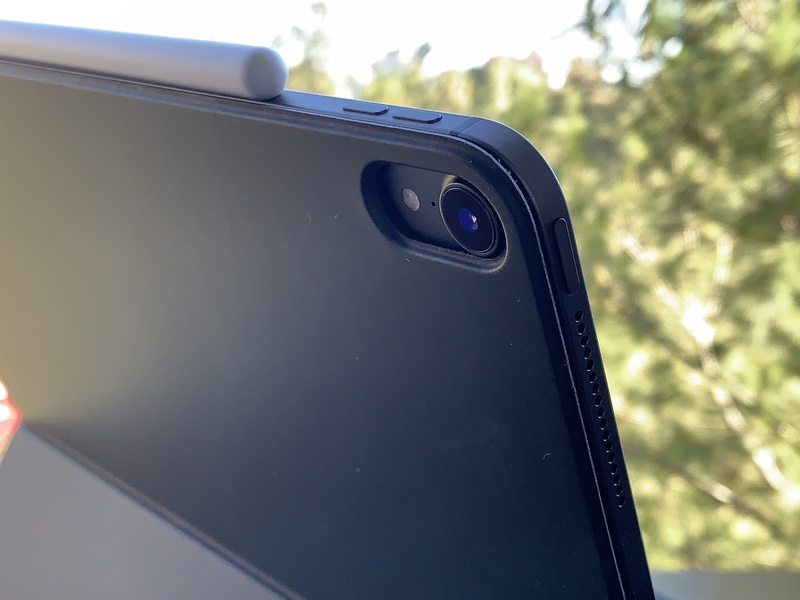 That move does come with a hit to the battery life, however, so the company went ahead and increased the battery size to offset that hit. 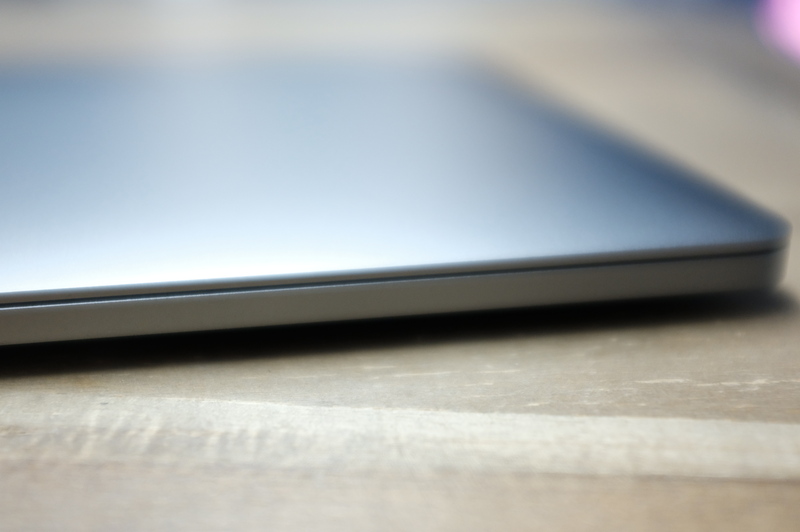 The company says the laptop gets around 10 hours of use in its testing. I admittedly put it through something a bit more rigorous than standardized testing when incorporating it into my daily usage — recording a podcast on Skype, listening to music while working/browsing the web (it’s part of my job, I swear) — and got a few hours less than that. For the 15-inch models, single-core performance is up 12-15%, and multi-core performance is up 39-46%. Since the underlying processor architecture hasn’t significantly changed between the 2017 and 2018 models, the increases in performance are due to higher Turbo Boost frequencies, more cores, and DDR4 memory. 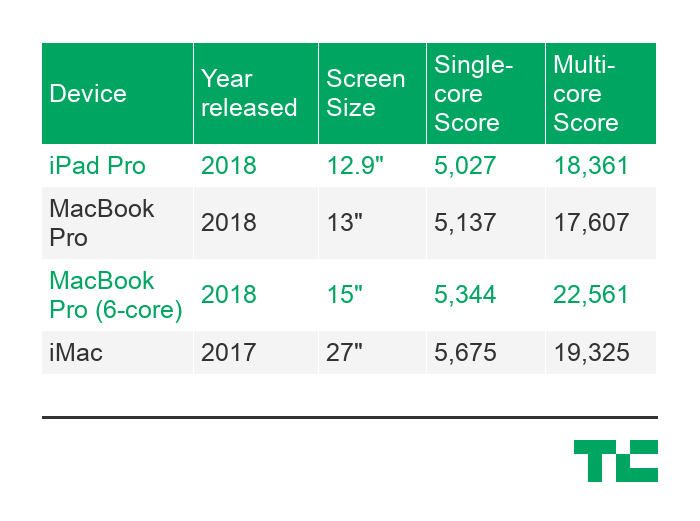 The 2018 MacBook Pro is the most substantial upgrade (at least regarding performance) since the introduction of quad-core processors in the 2011 MacBook Pro. Taken together, that represents a significant upgrade from last year’s model. Individual performance will vary depending on a lot of different topics, but there’s no doubt these are powerful machines. The addition of hands-free Siri functionality didn’t get a lot of play here, but it’s an important one — if not for the computer itself, then for Apple’s broader ambitions. Like Google’s play, Siri was mobile first. But Apple’s assistant has always been about building a broader ecosystem of contextual search that can help the company tailor its offerings to individual user needs. We saw this manifest itself last year with the addition of HomePod, a typically Apple high-end approach to the insanely popular world of smart speakers. The assistant has actually been available on macOS since Sierra (10.12) rolled out back in late 2016. This, however, marks the first time hands-free voice interaction has been available on the desktop. 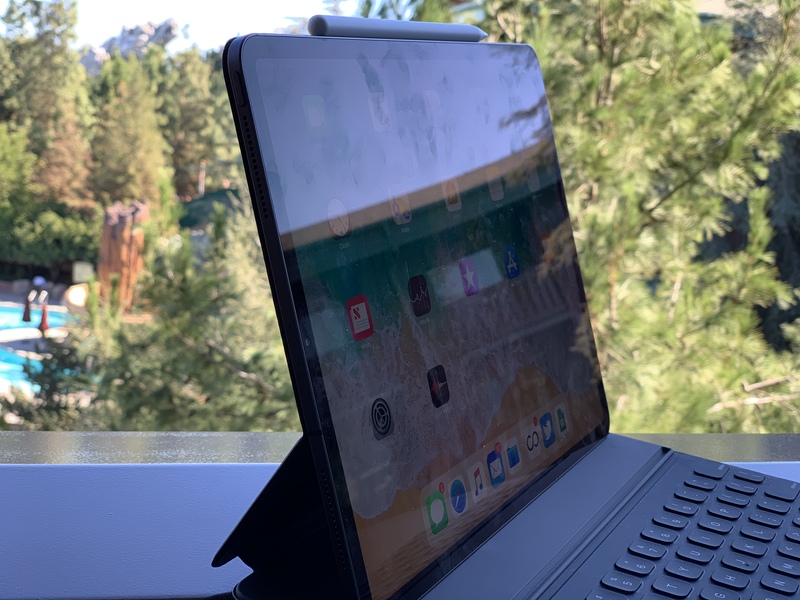 Apple says it was the T2, introduced on the iMac Pro, which allowed for the capability — just one of an extremely long list of features the company has offloaded on the proprietary chip. Like other key features, Siri is enabled during setup. If you’re the sort who sticks masking tape over your webcam, you can also simply opt out of having the MacBook’s microphones listening in for the wake word. And you can always untick the “Listen for ‘Hey Siri’” box in Settings. Setup is more or less the same as on iOS. You’ll be prompted to speak a couple of phrases to train the AI on your voice. Device interaction functions similarly as other assistant hardware ecosystems. The moment you say, “Hey, Siri,” your iPhone/Mac/HomePod, et al. communicate with one another, prioritizing either the device that heard the query the best (likely the closest) or was most recently used. I ended up disabling the feature on my phone in order to test it on the desktop, because there were too many instances of the phone picking it up or having Siri pop up on both at once and then disappearing on the one that was de-prioritized. When the feature was switched off the phone, however, its desktop counterpart was plenty responsive. 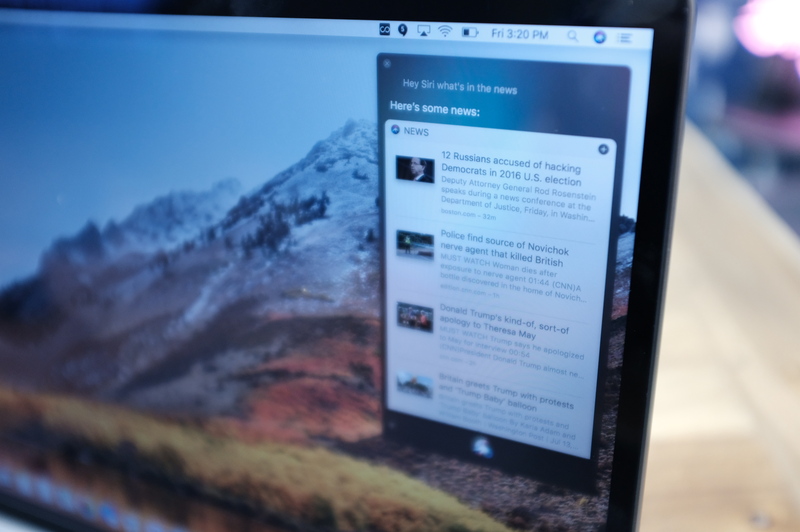 All of this leads to a key question: Is a desktop smart assistant ultimately very useful? The primary driver of voice functionality is the ability to free up your hands from having to type. Presumably, however, you’ve already got your hands at or near the keyboard if you’re close enough for Siri to hear you. Hey Siri, a win is a win, okay? Multimedia functionality, which seems like one of the most logical applications, is still limited here. Siri will find and play things in Apple Music, but ask her to play something on Spotify and that’s a no-go — you’ll get an Apple Music link and Wikipedia entry instead. Siri knows which side her bread is buttered on. Ask her to play a movie and she’ll confess that she can’t do that. More functionality is surely on the way. For now, however, Siri on the desktop is more a nice addition than necessary feature. Like Siri, True Tone is opt-in during the setup process. You can toggle it on and off at the beginning, which I suggest, just so you know what you’re getting yourself into. And, like Siri, you can always go back into settings later to adjust if it’s not to your liking. Clicking Option and the Touch Bar bright icon will get you there, as well. 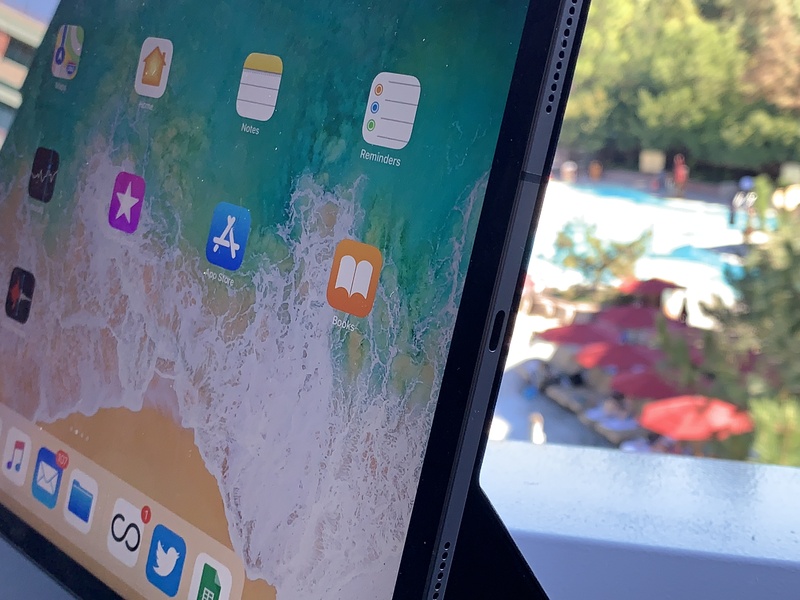 The effect, which debuted on the iPad Pro (and rolled out to other new iOS devices) utilizes a light sensor (new for the Mac) to determine the ambient color and brightness of its surroundings. It’s a sort of more sophisticated version of the brightness detection Apple computers have had on board for some time now. If you’ve ever fiddled with a camera (even the one on your phone in most cases), you recognize the importance of white balance. That’s the thing that turns objects weird colors when you step into different lighting settings. It’s a key to perceiving contrast getting lifelike reproductions of images. I have two 15-inch MacBooks in front of me right now (that’s just how I roll), and it’s like night and day. You’ve got no idea how blue the screen you’ve been staring at is until you see it up against another True Tone-enabled display. For a majority of us, it’s a nice feature, but for photographers, video producers and designers who rely on a MacBook for their work, it’s a much bigger deal. As recently published support documents point out, the feature will also work with a handful of secondary displays, including Apple’s own, and LG’s Ultrafine 4K and 5K. I’m staring at my now 2017 MacBook Pro as I type this. It’s always tough to compete with the latest and greatest, especially when it’s been specced out like crazy. I’m going to miss the quieter keyboard and True Tone display, for sure. Hands-free Siri, I can really take or leave at the moment, based on current functionality. But I’m not ready for an upgrade just yet. For a majority of users, the upgrades on the high end will mostly amount to overkill. Thankfully, however, the low-end price points remain the same at $1,799 and $2,399 for the 13- and 15-inch, respectively. Those who expect a lot more from their machines will no doubt be excited to see what these laptops can do. The new MacBooks aren’t a fundamental rethink by any stretch of the imagination, but they’re a welcome acknowledgment that the company still considers creative pros a key part of its DNA.